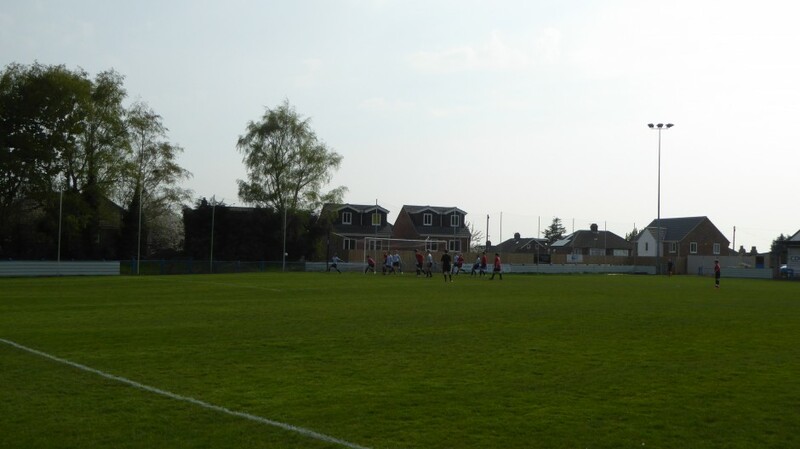 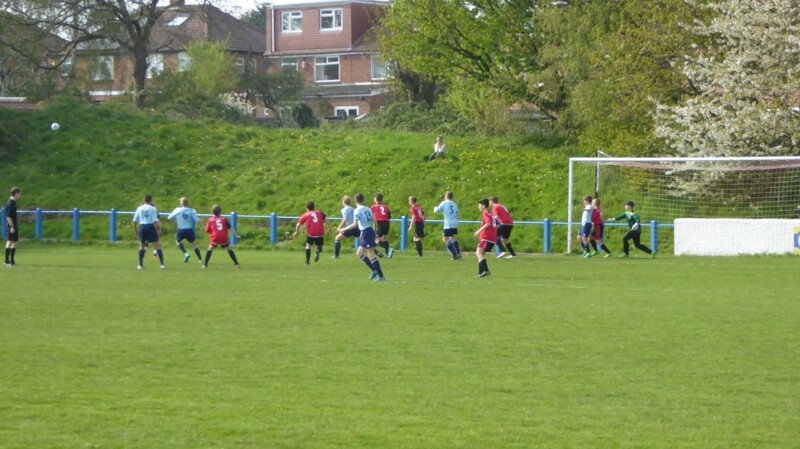 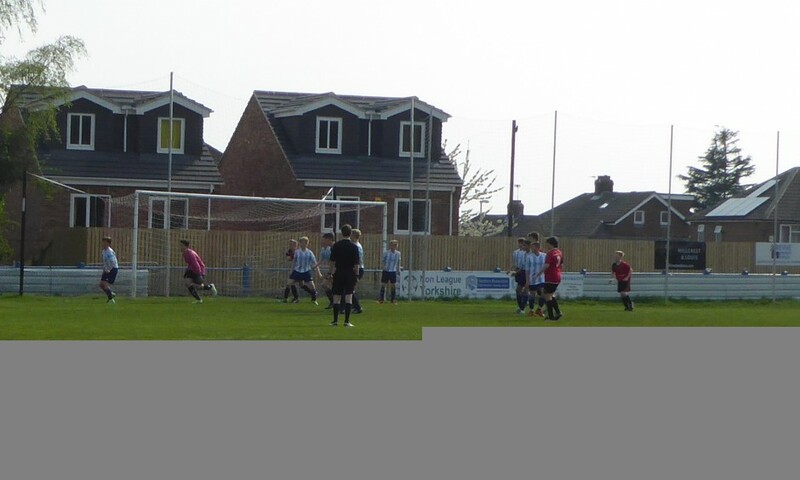 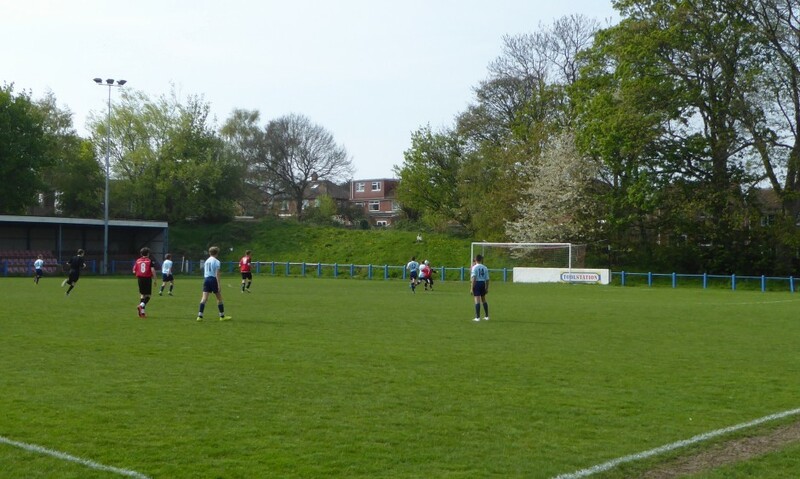 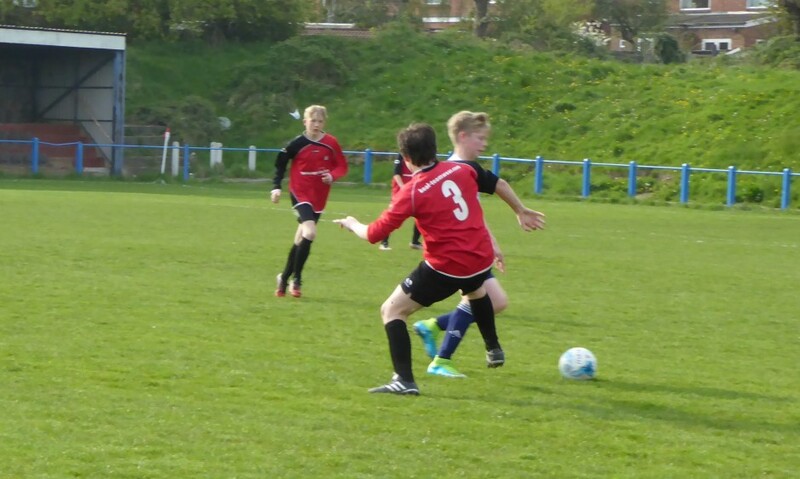 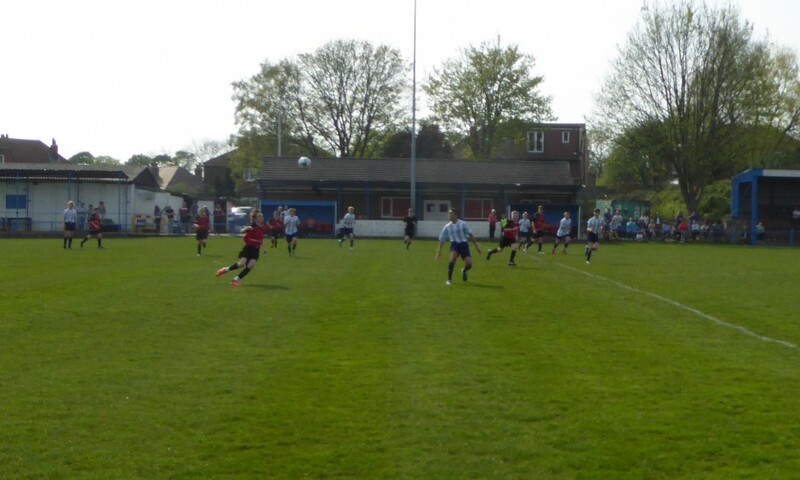 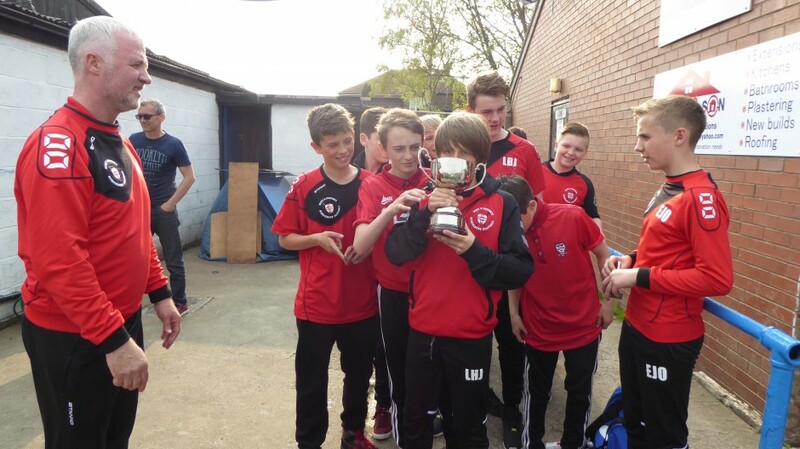 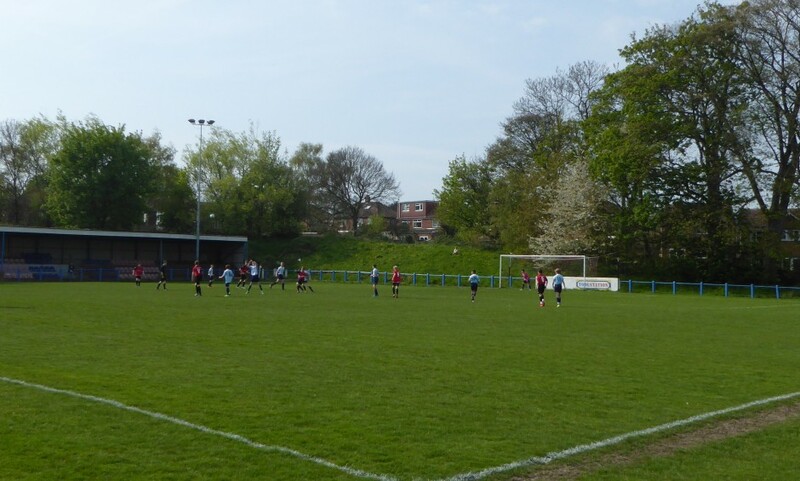 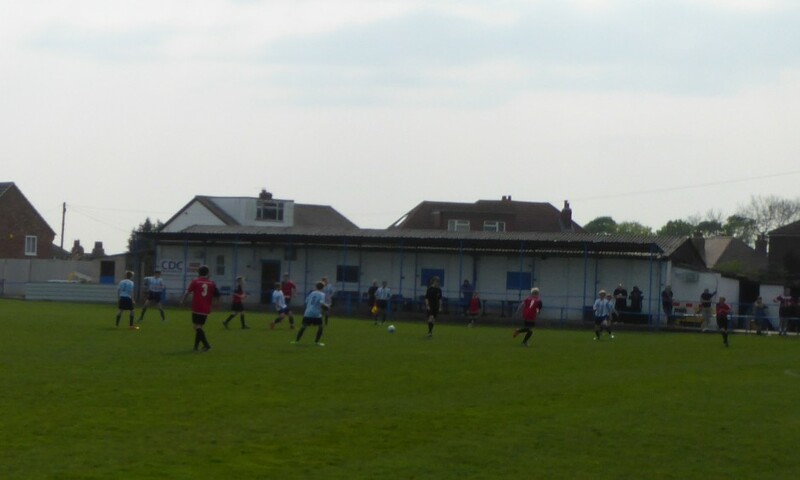 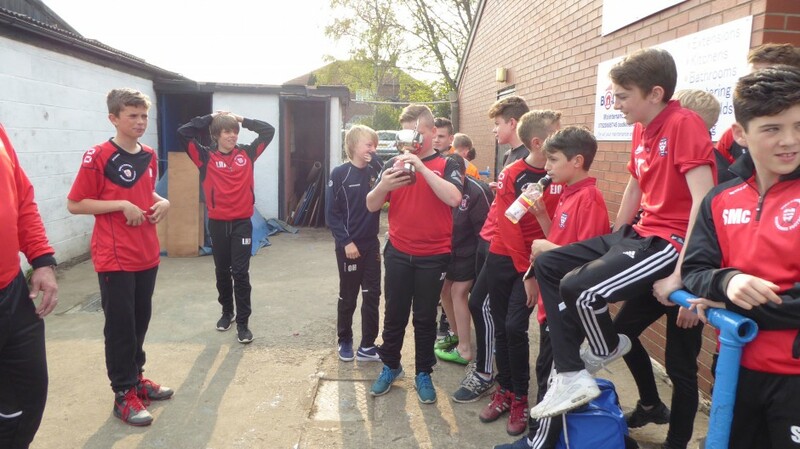 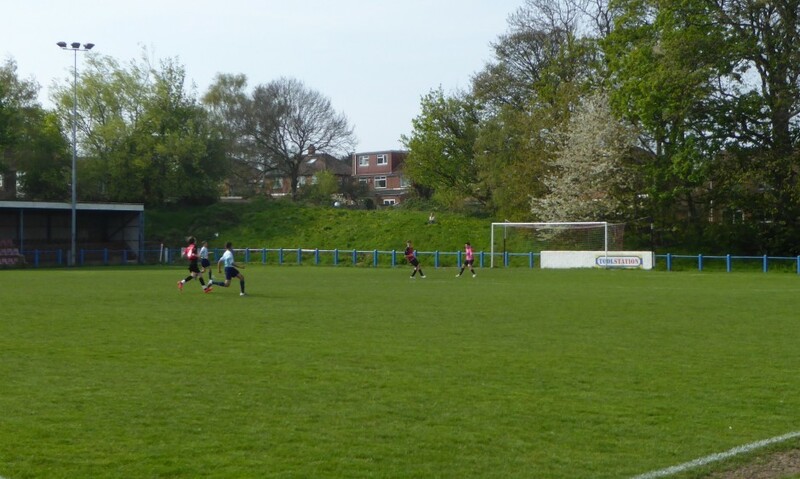 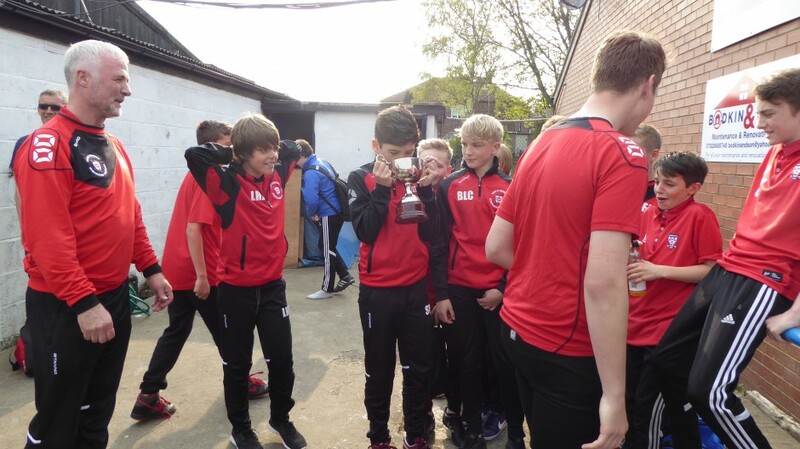 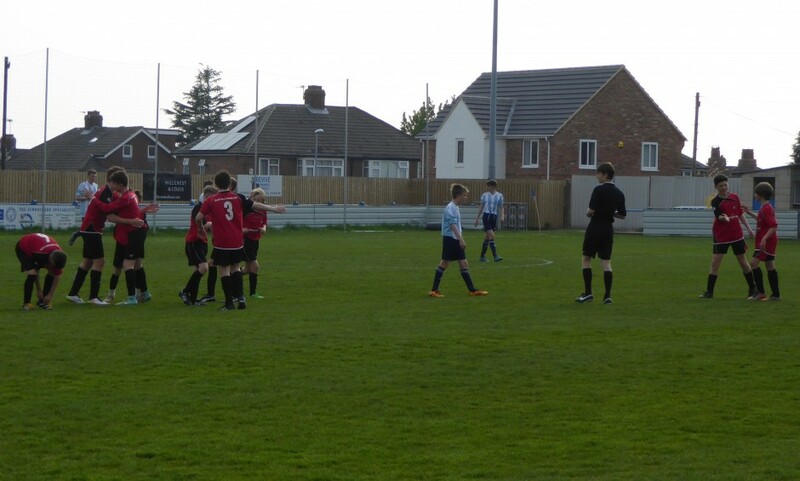 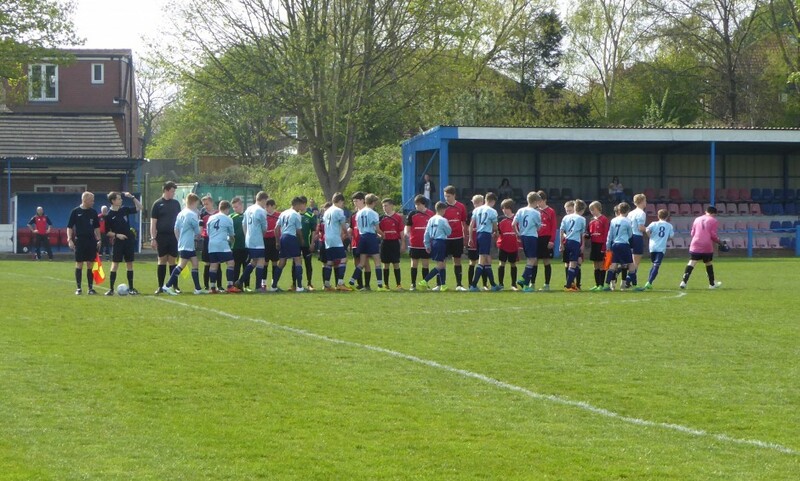 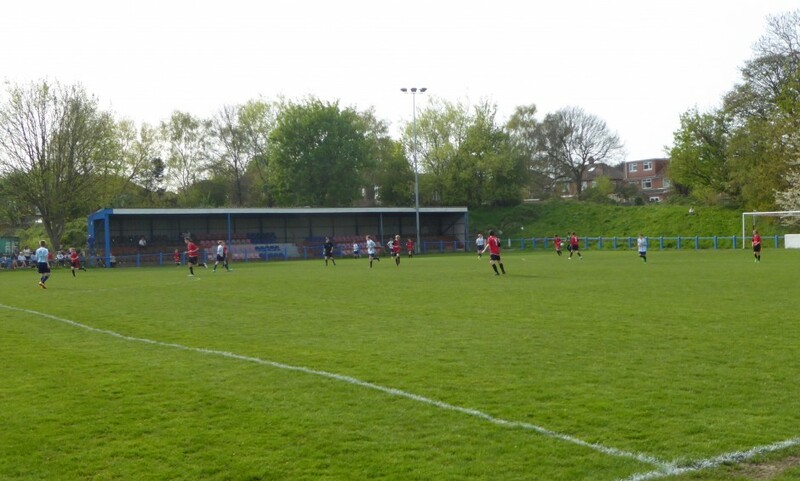 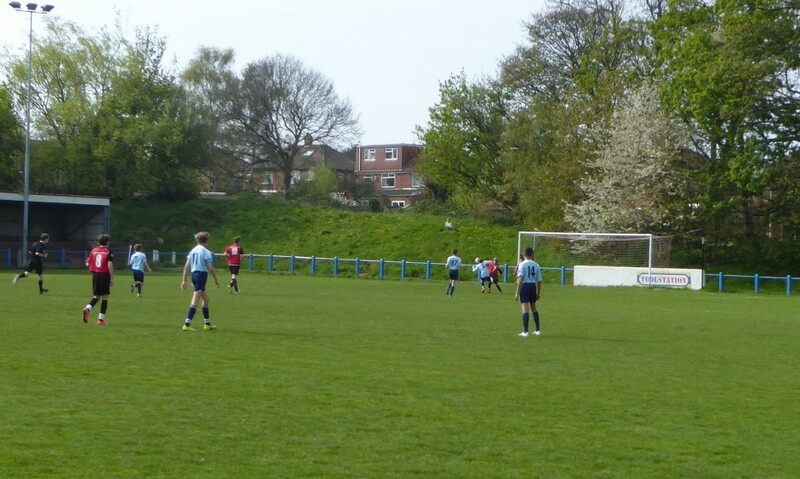 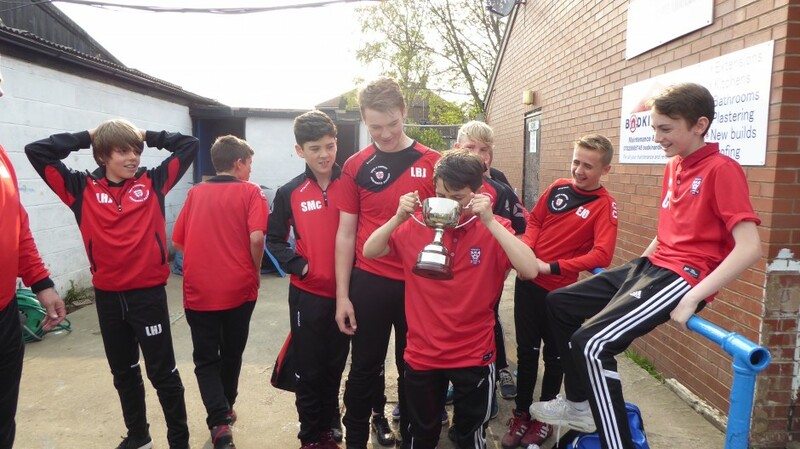 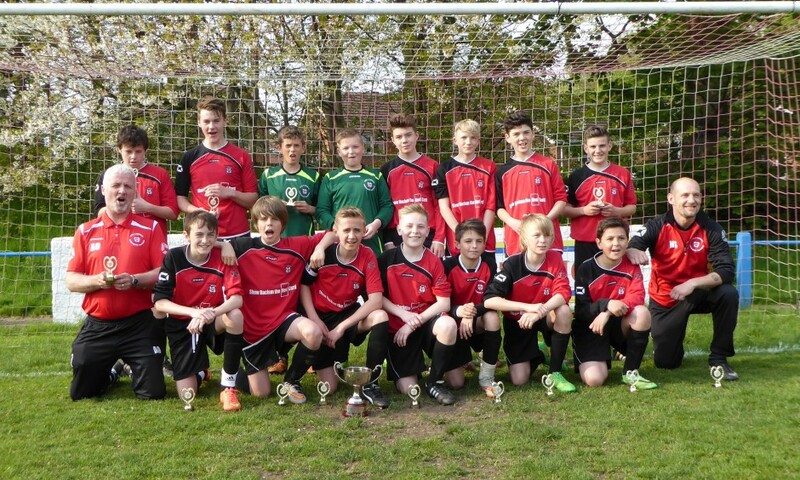 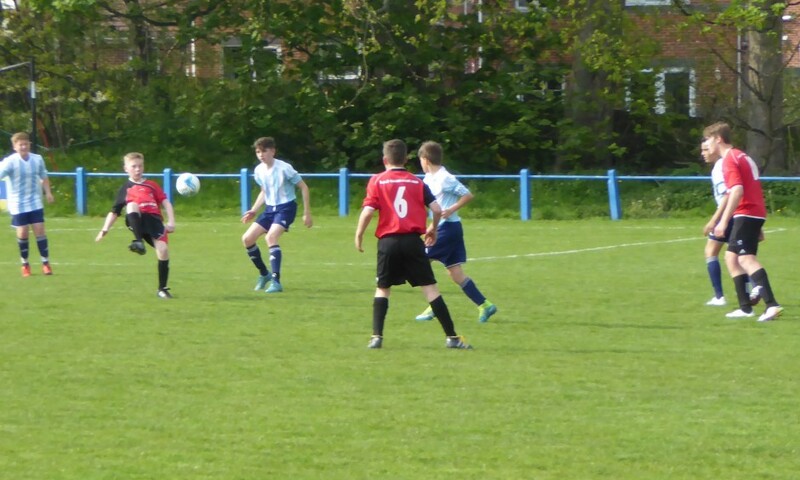 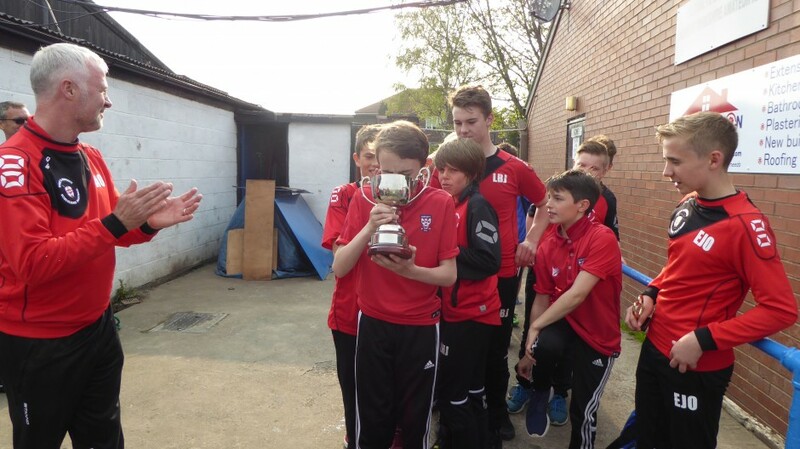 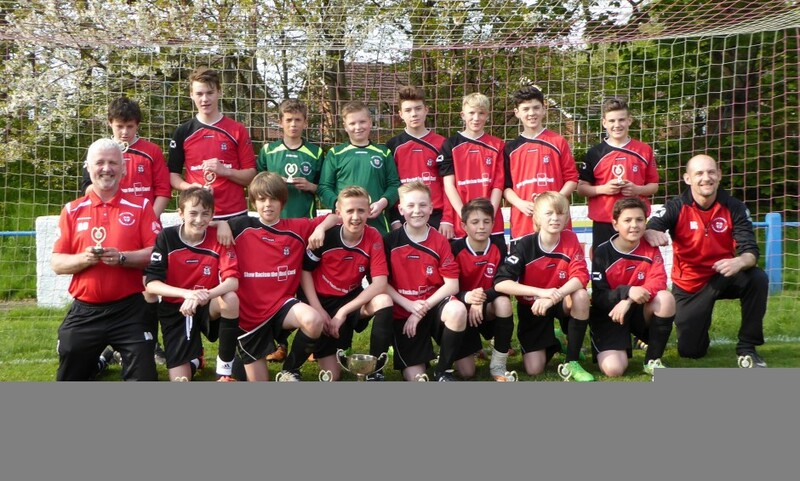 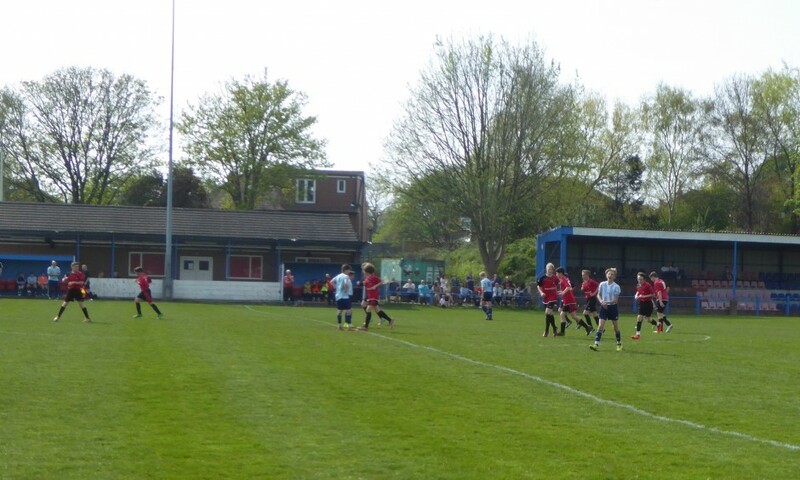 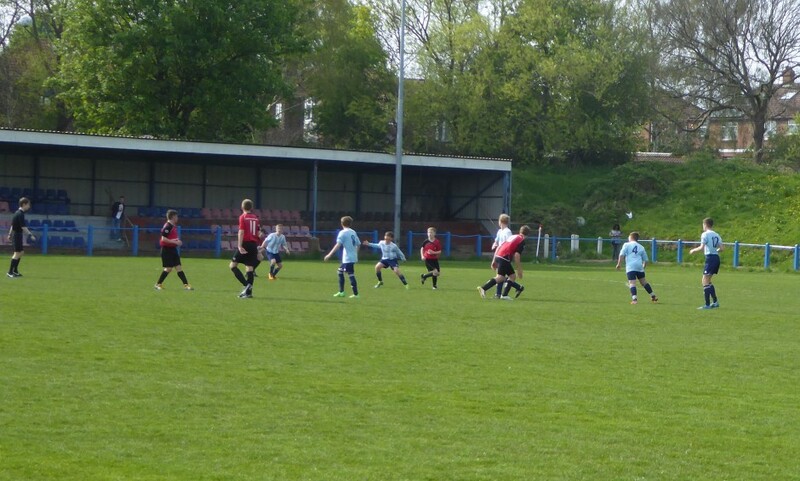 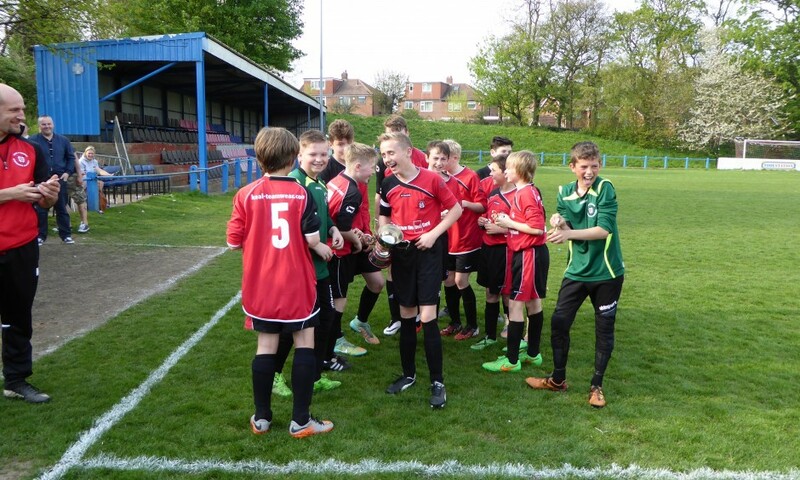 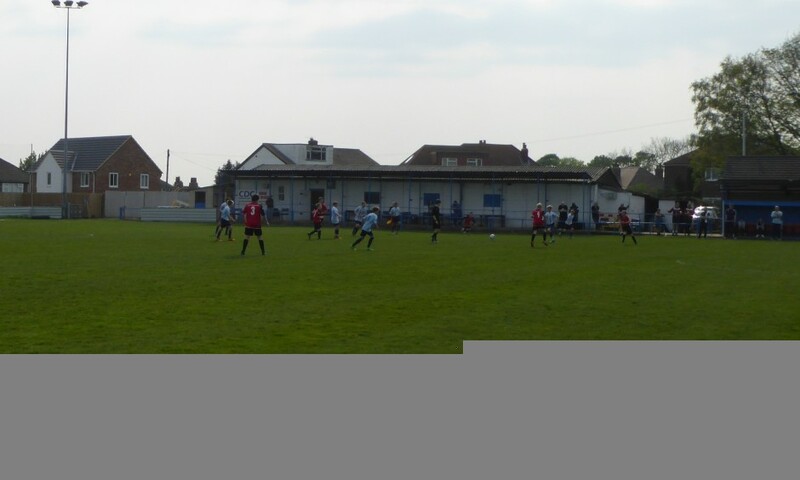 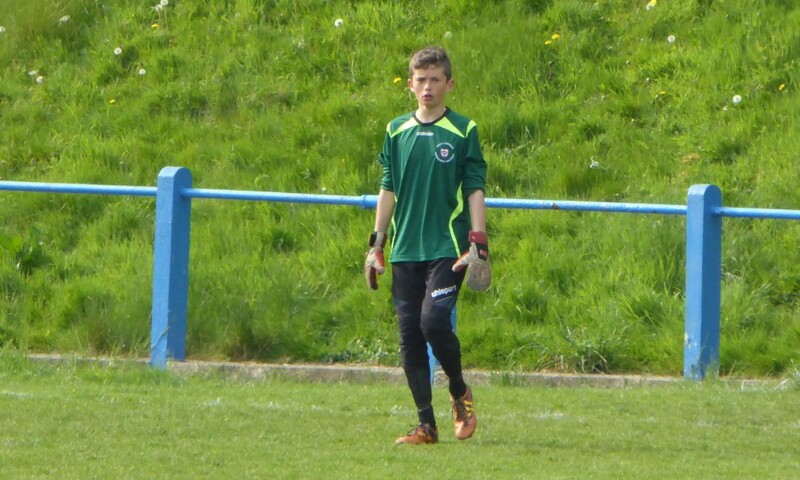 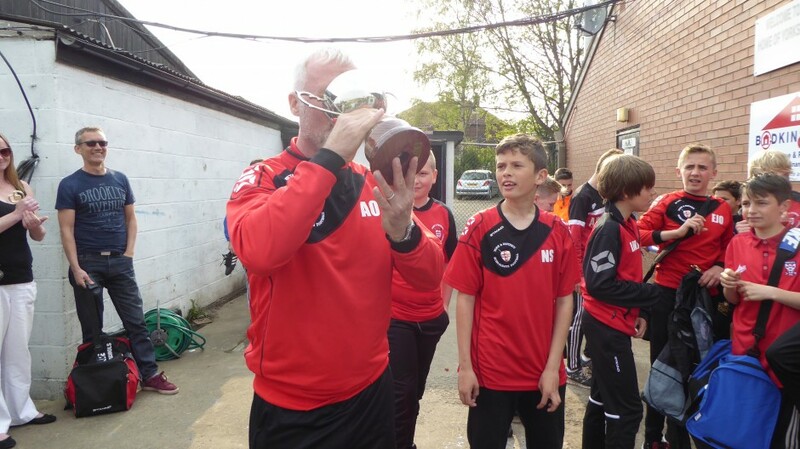 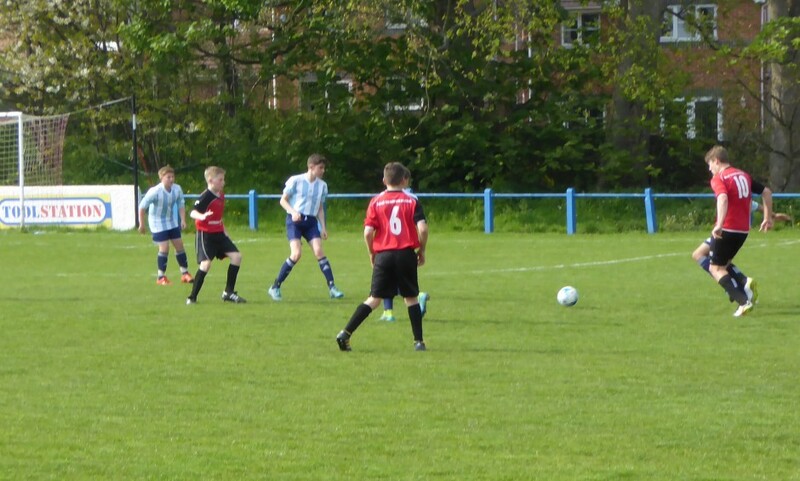 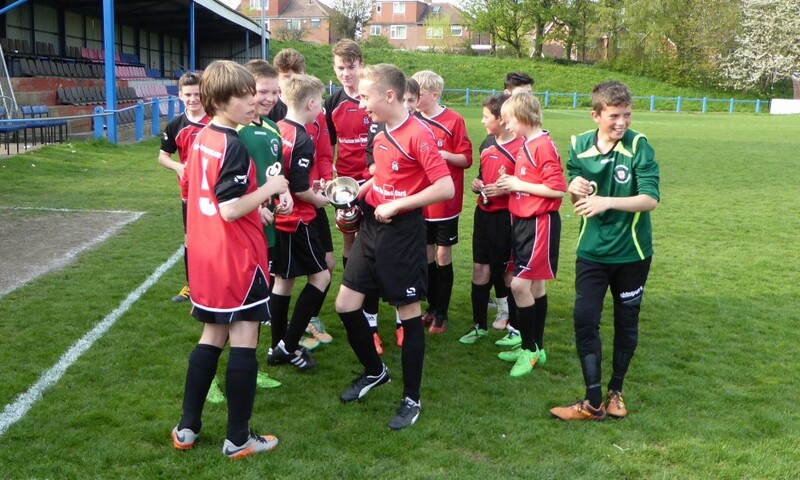 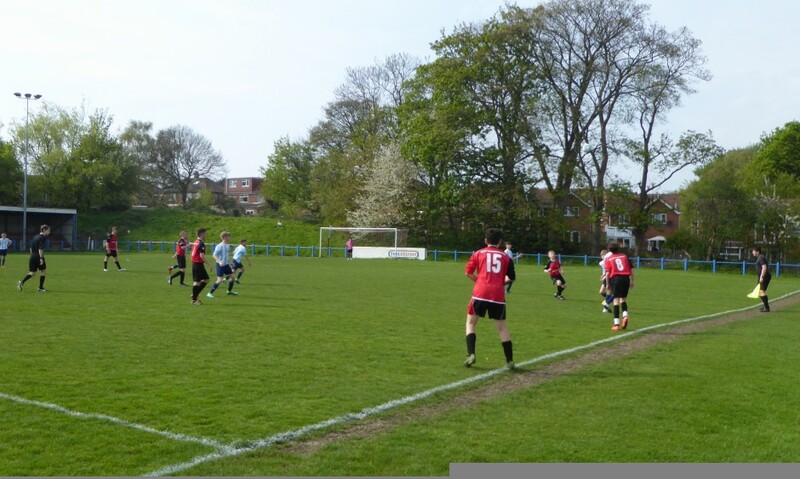 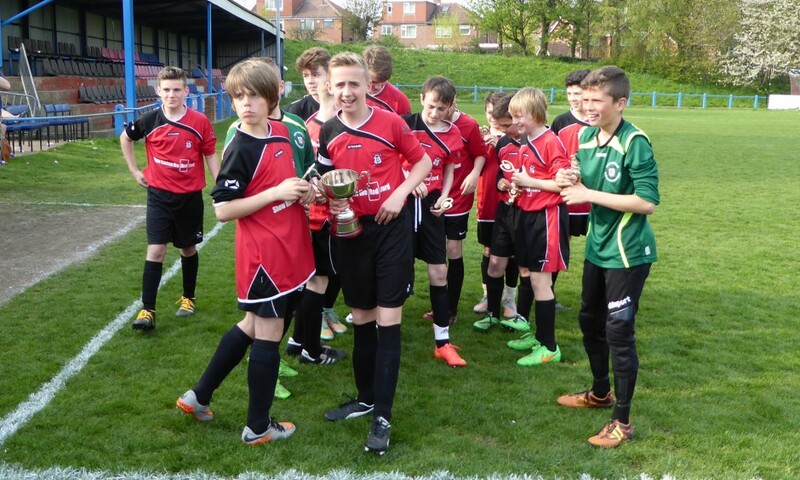 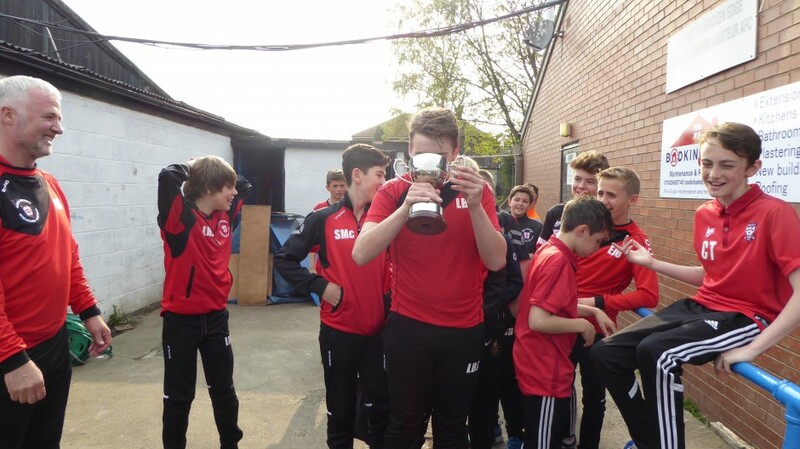 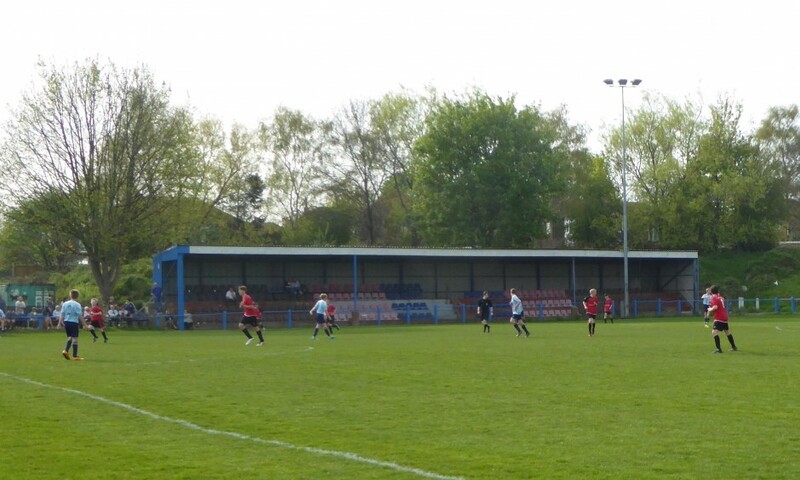 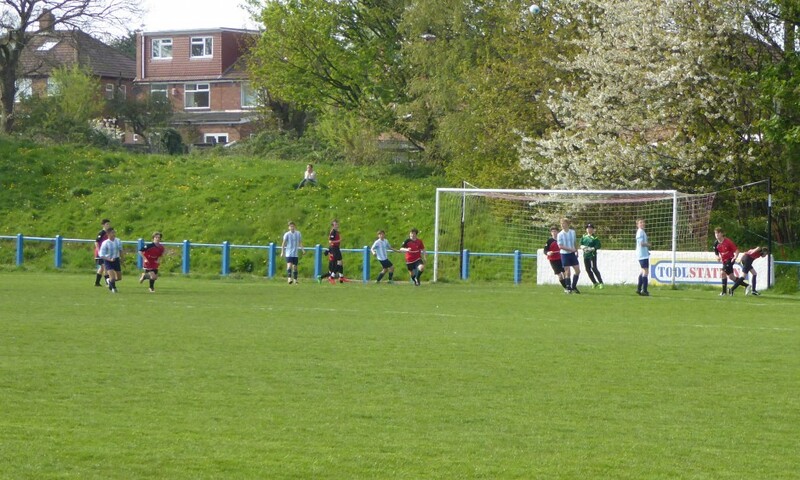 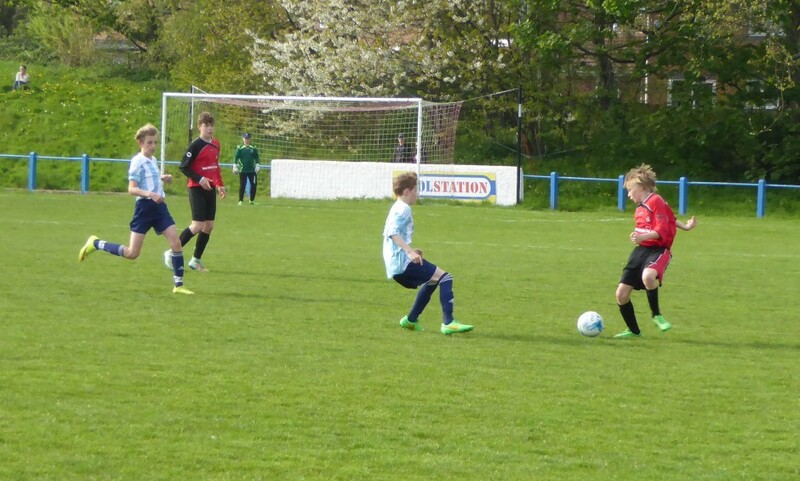 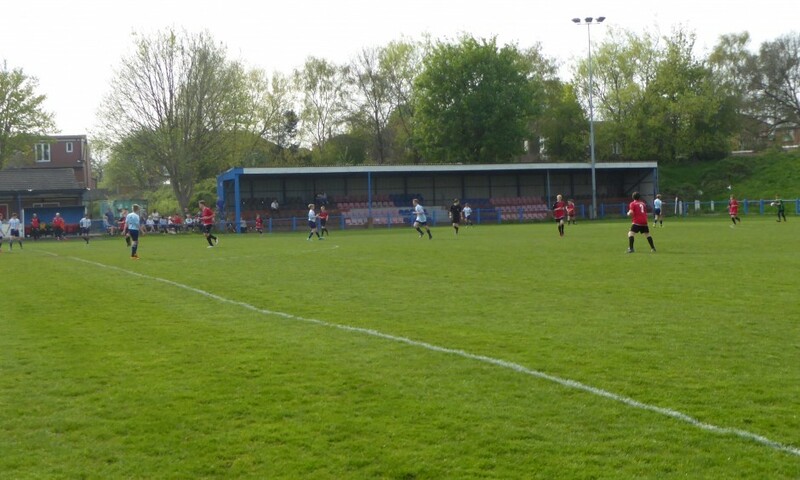 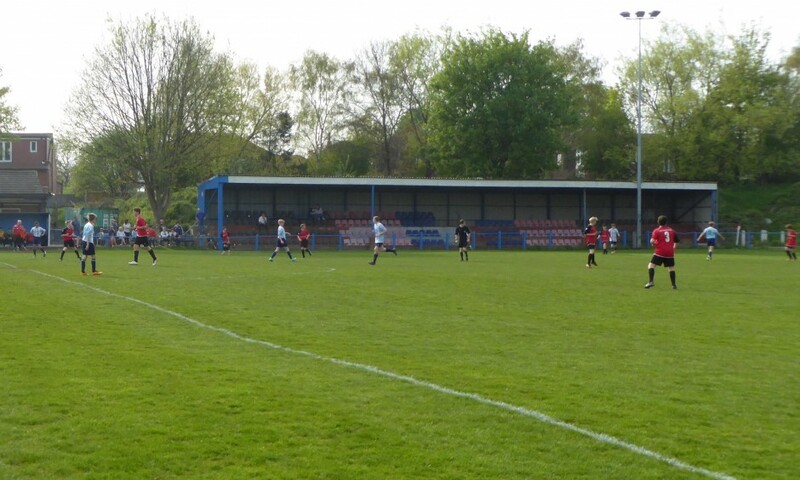 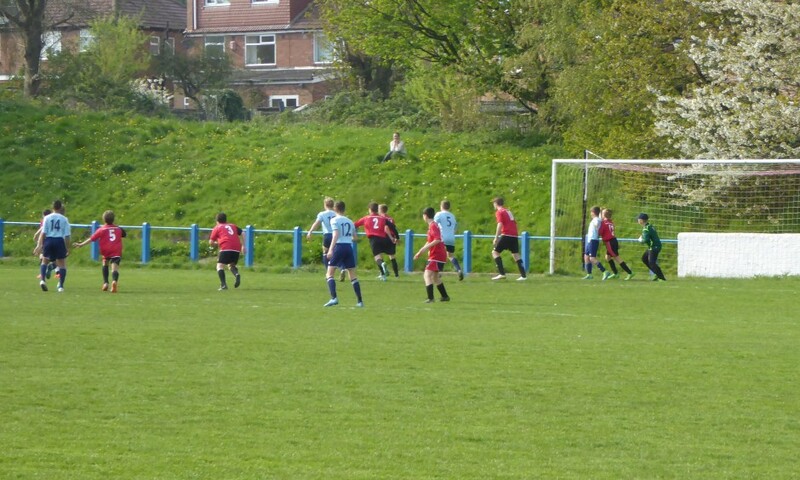 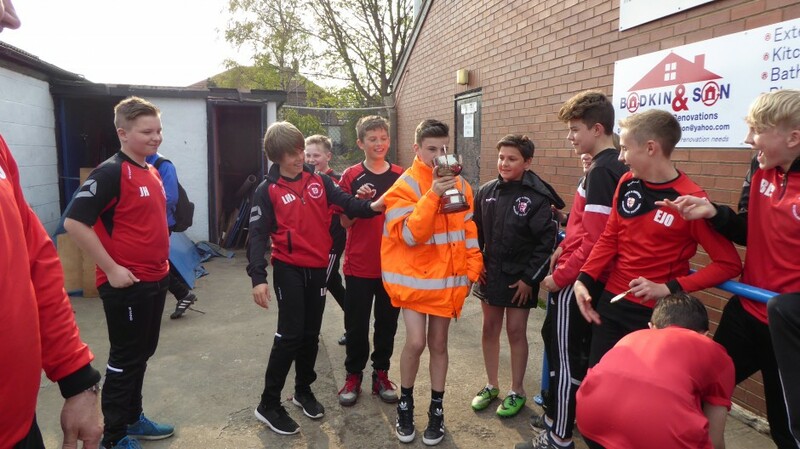 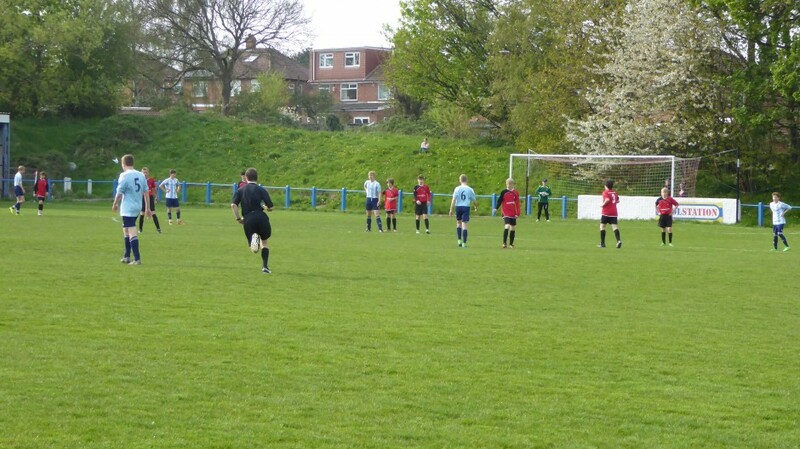 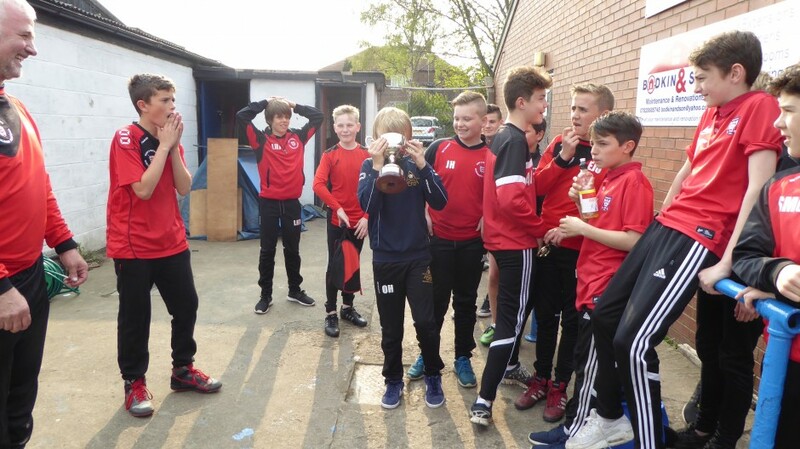 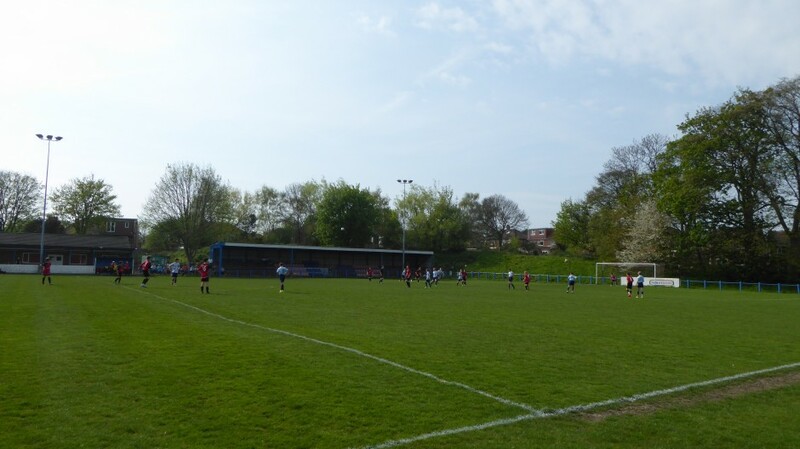 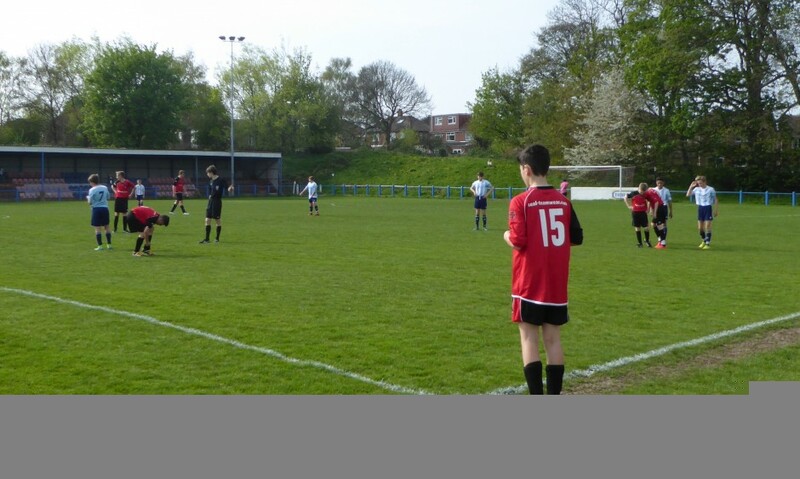 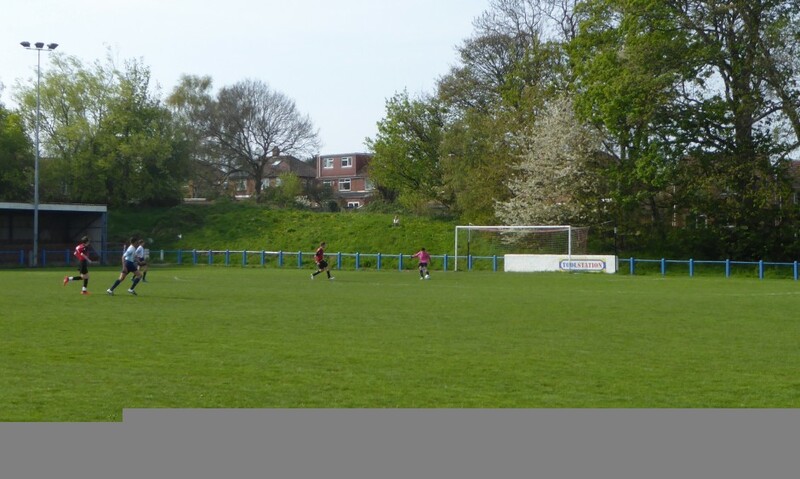 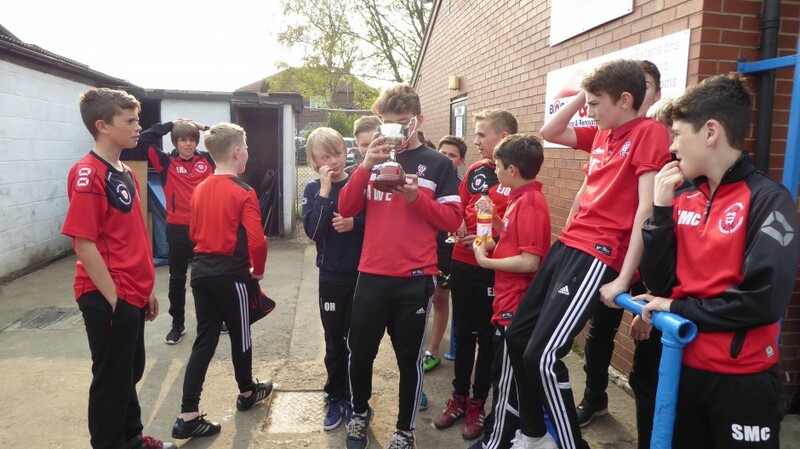 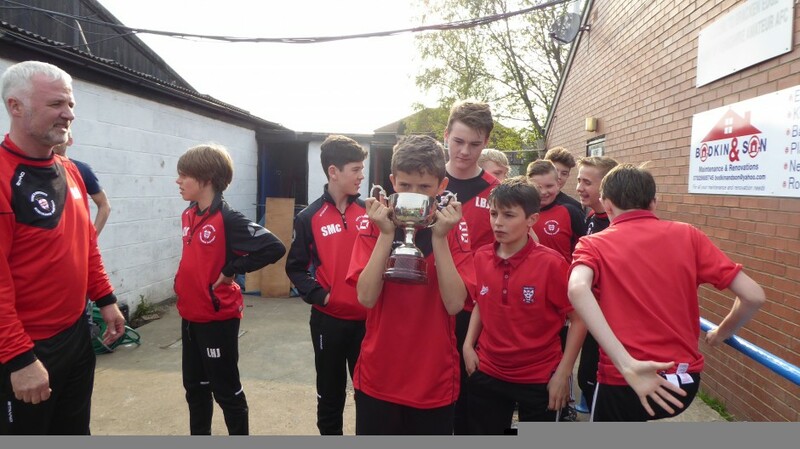 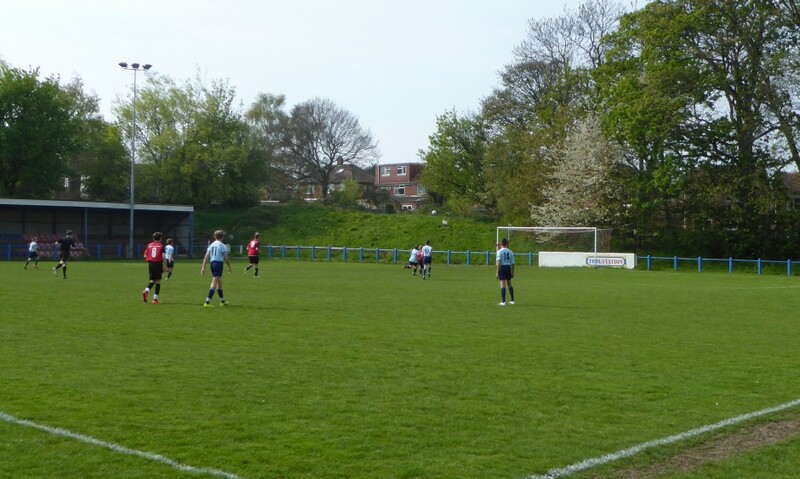 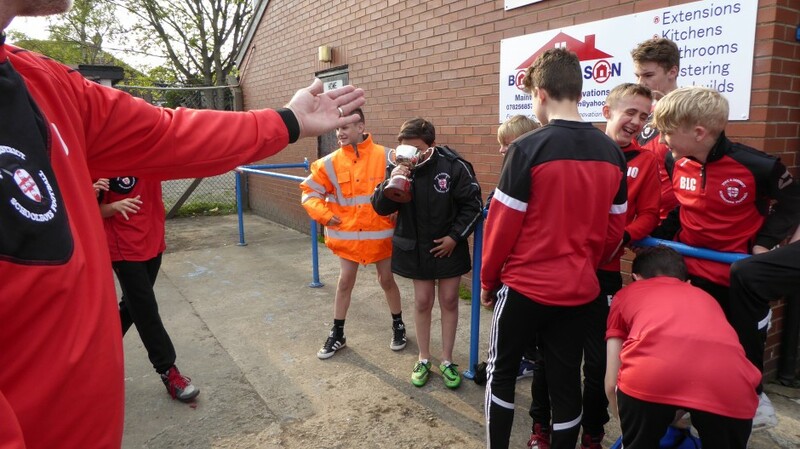 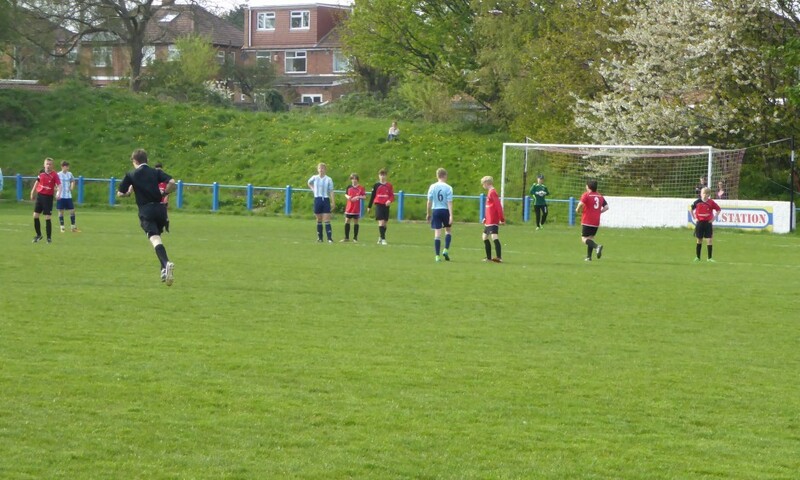 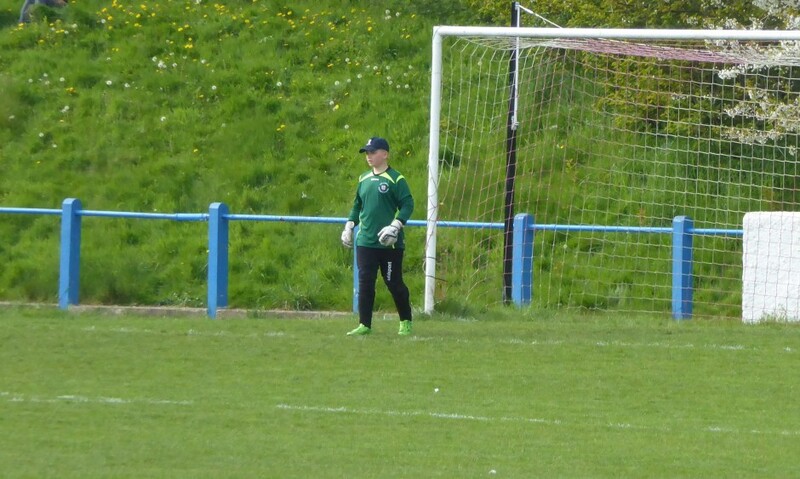 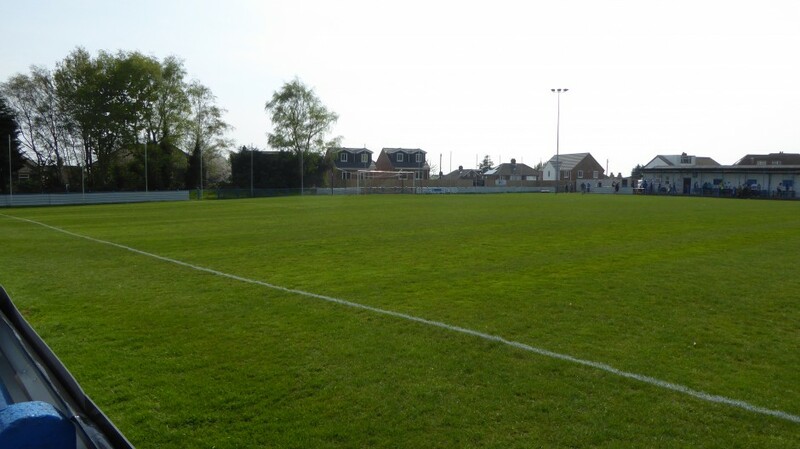 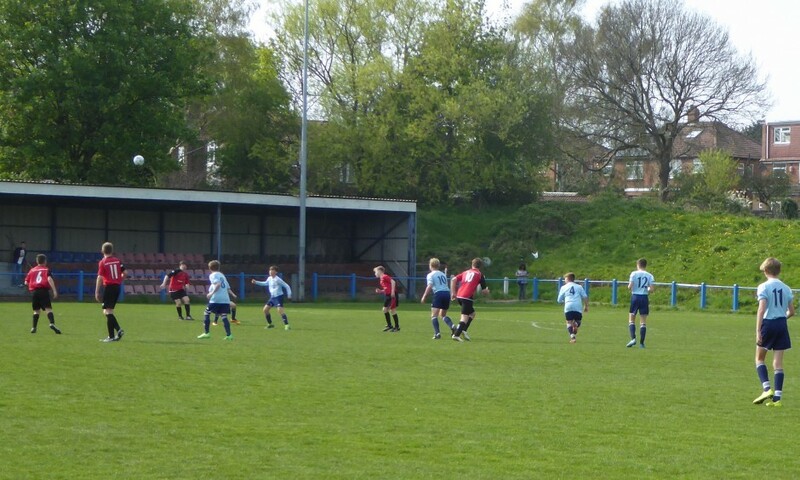 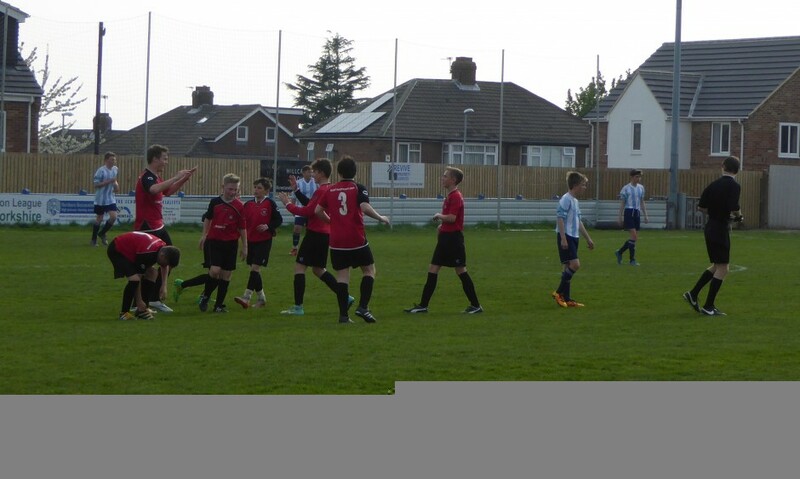 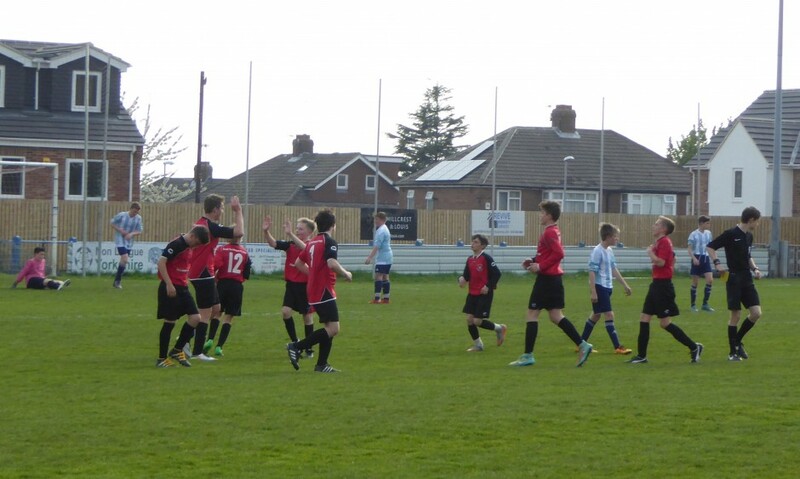 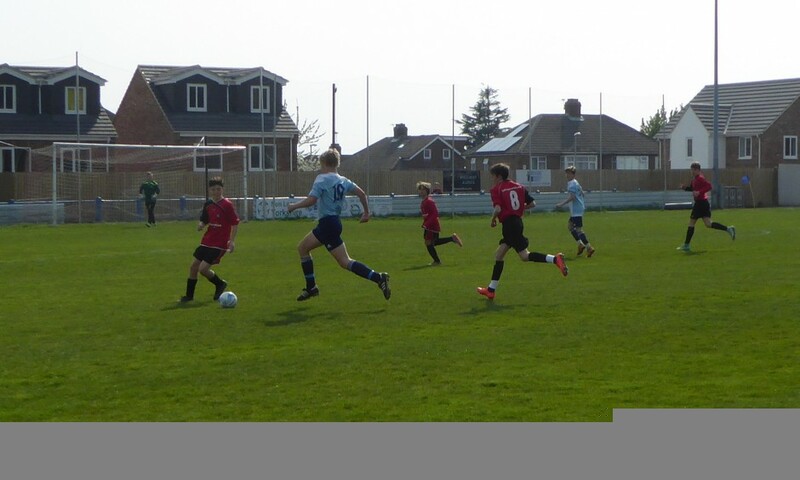 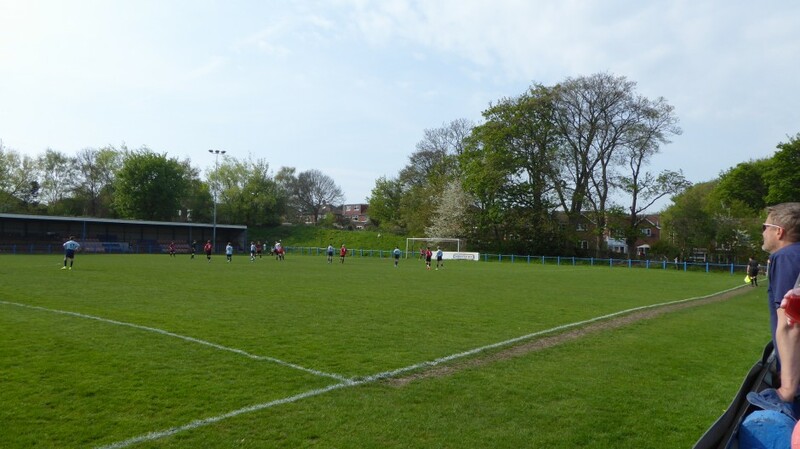 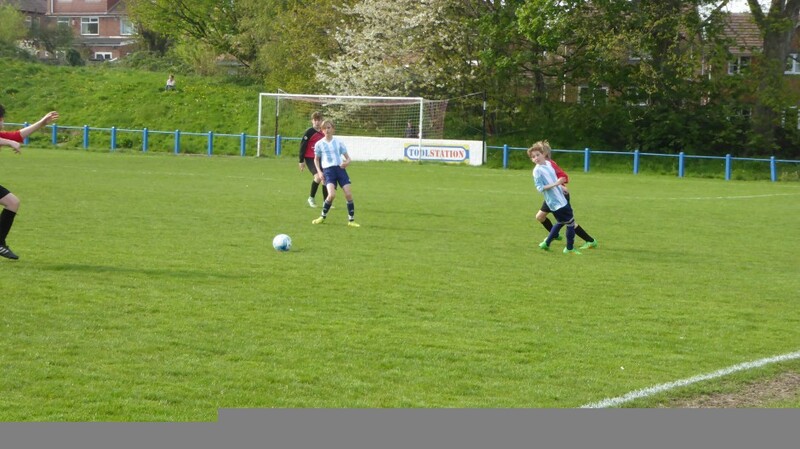 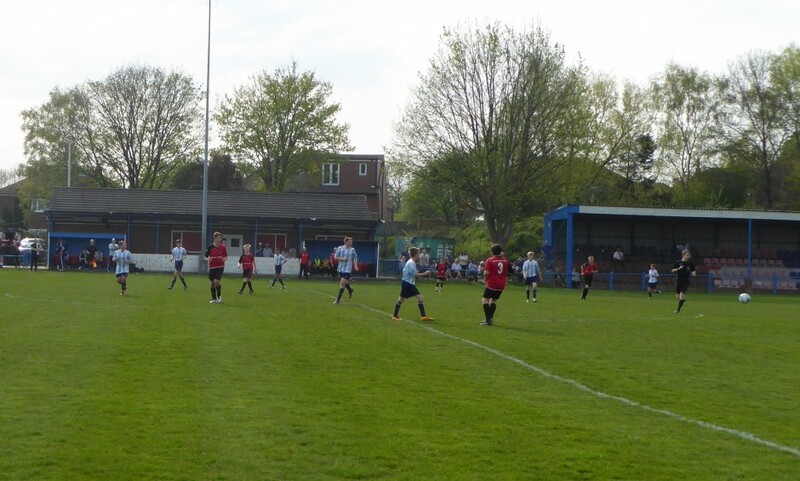 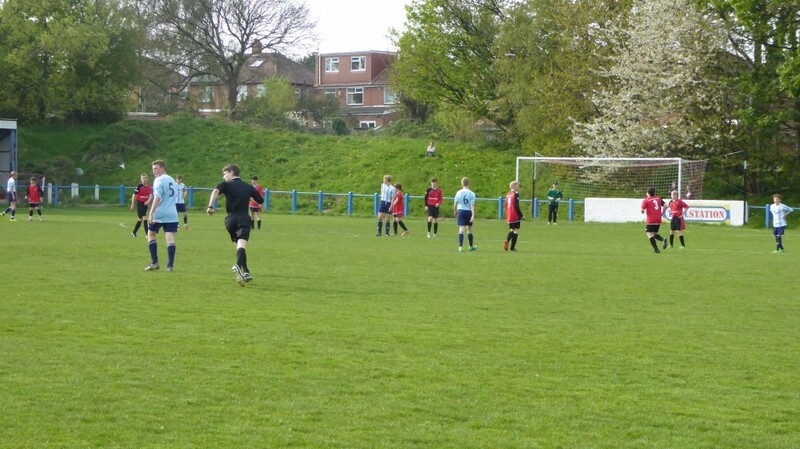 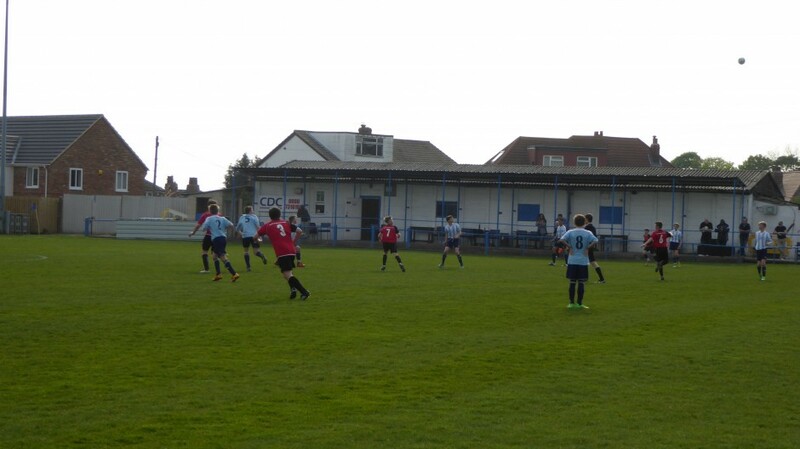 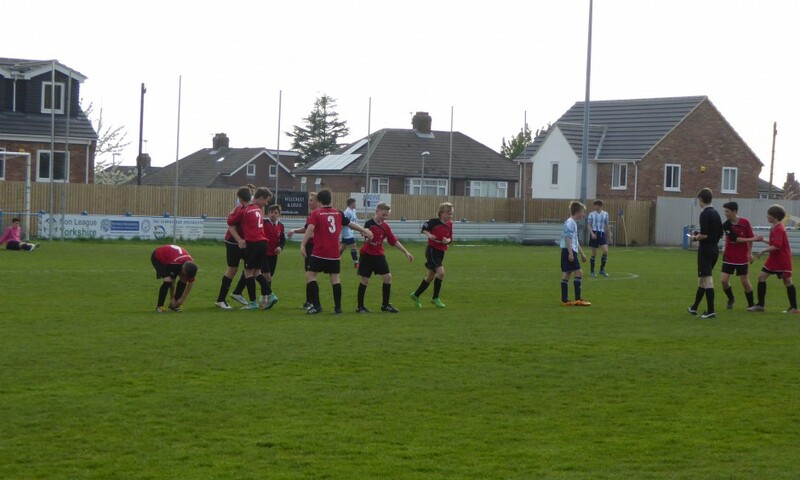 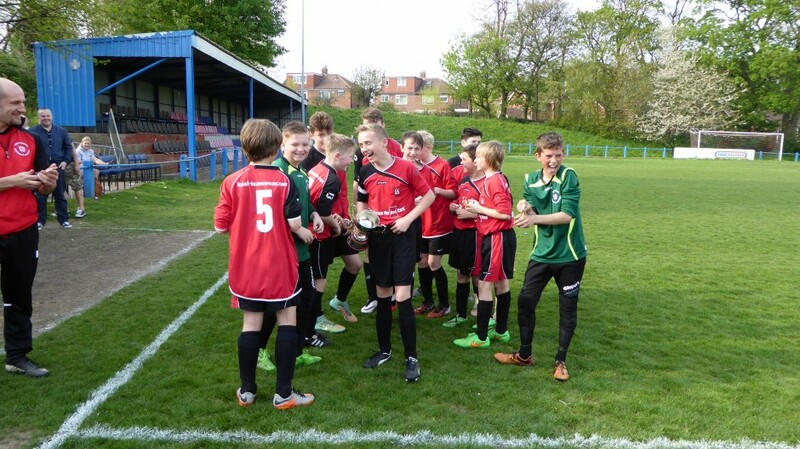 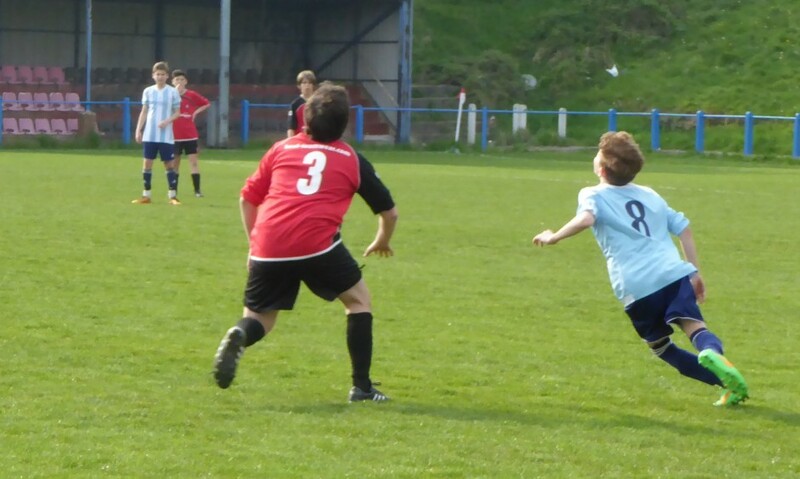 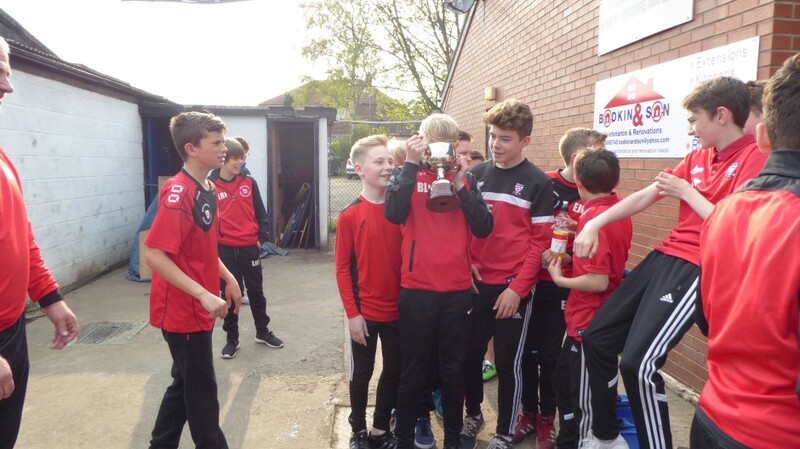 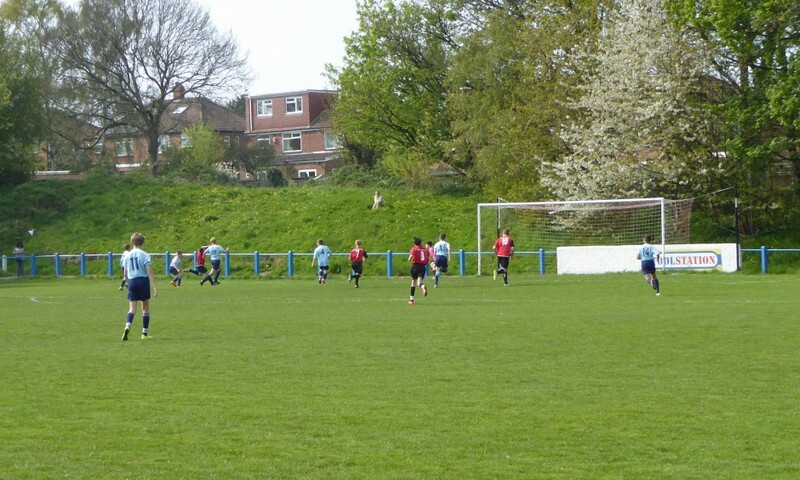 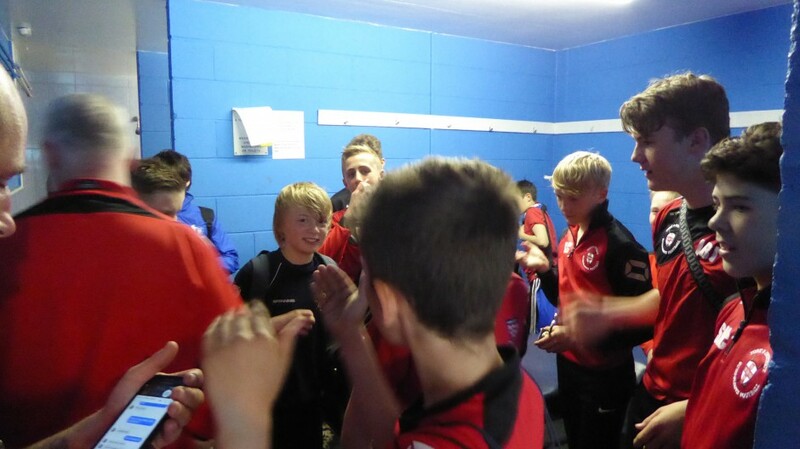 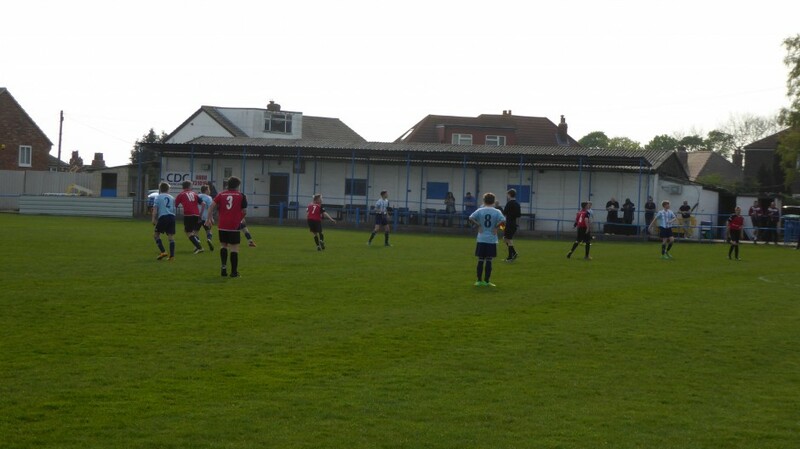 York U13s travelled to Yorkshire Amateur FC in Leeds to play Spen Valley in the West Yorkshire Cup Final. 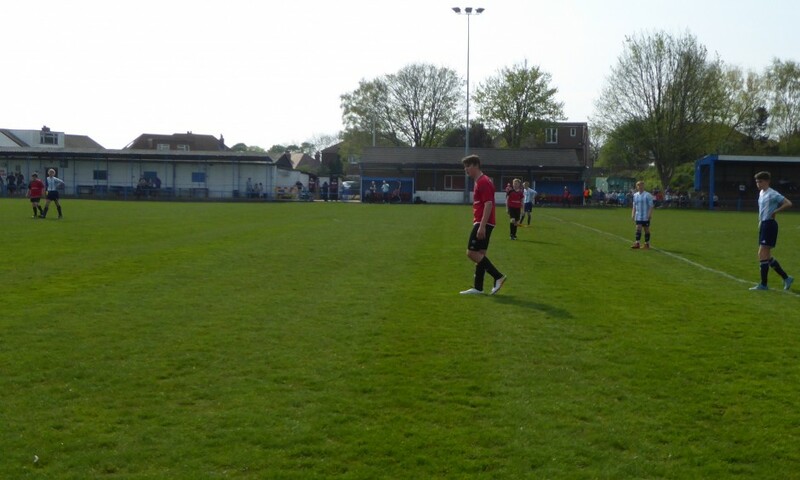 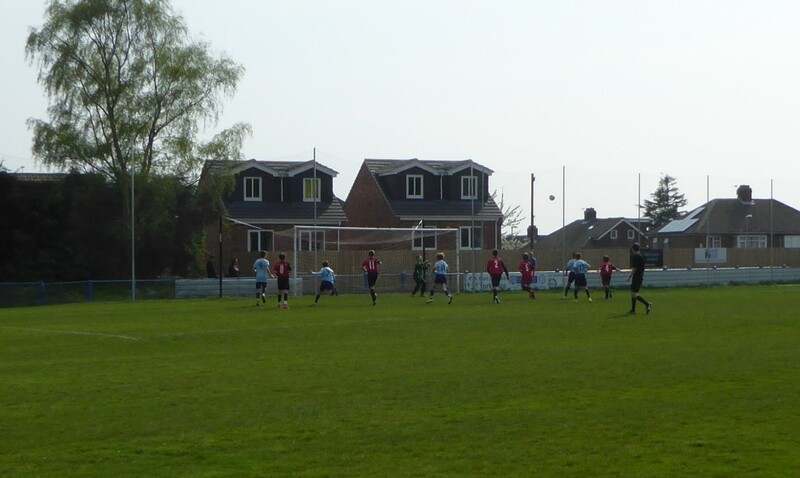 Spen Valley kicked off proceedings, in the early evening sunshine, with York keeper Joseph Hodge called into action within the 1st minute to produce a fine save from the Spen Valley striker. 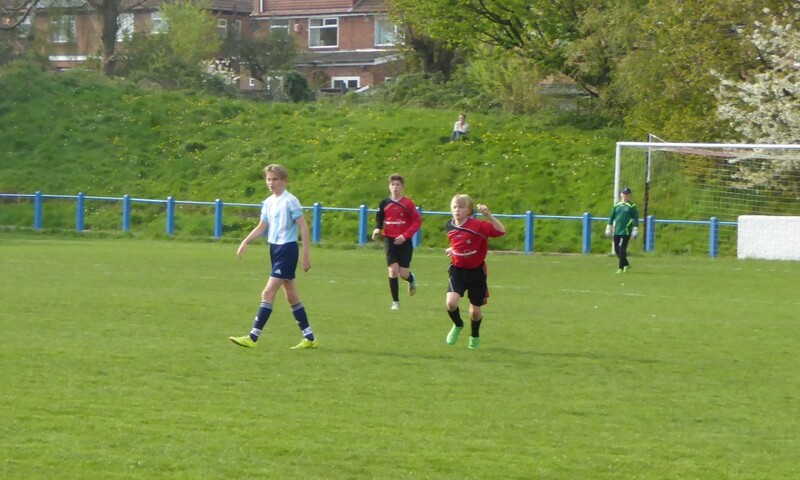 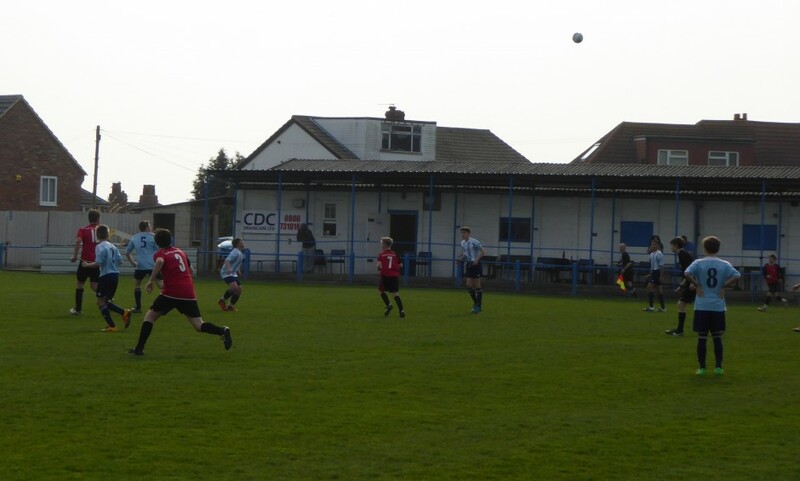 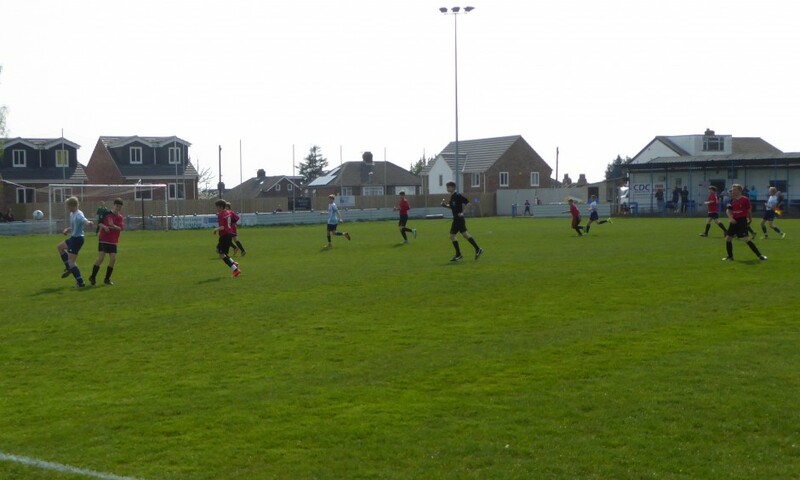 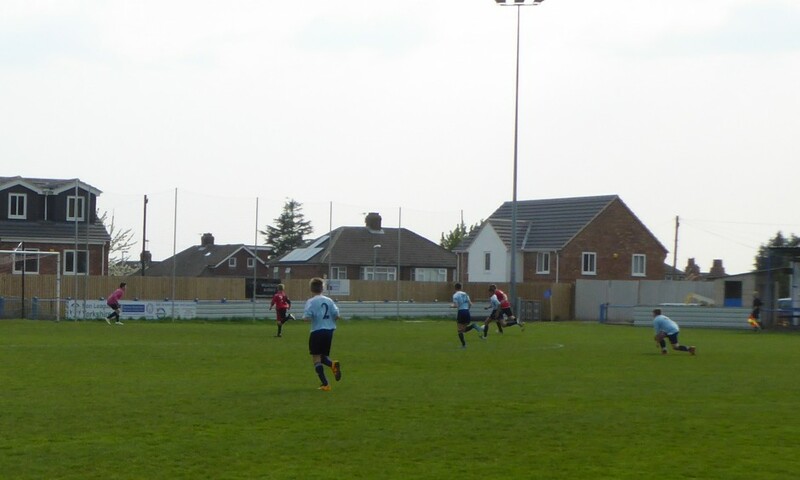 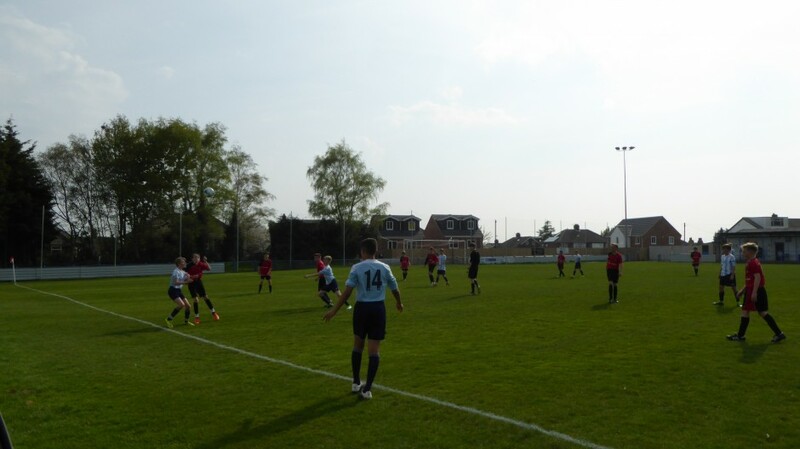 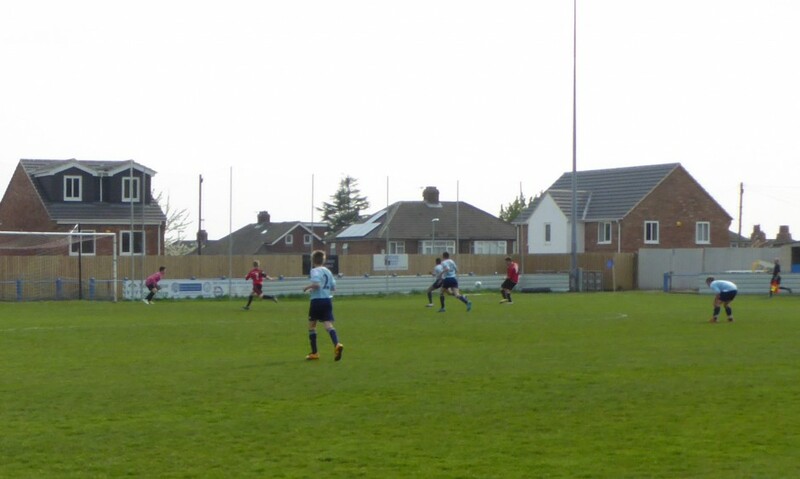 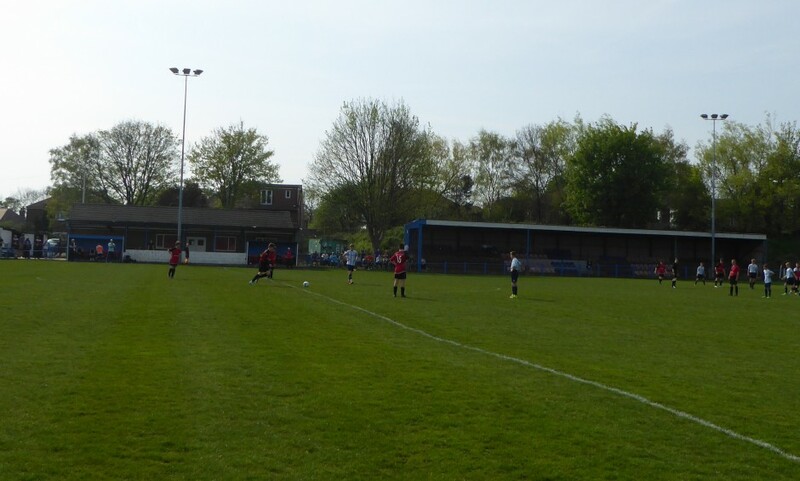 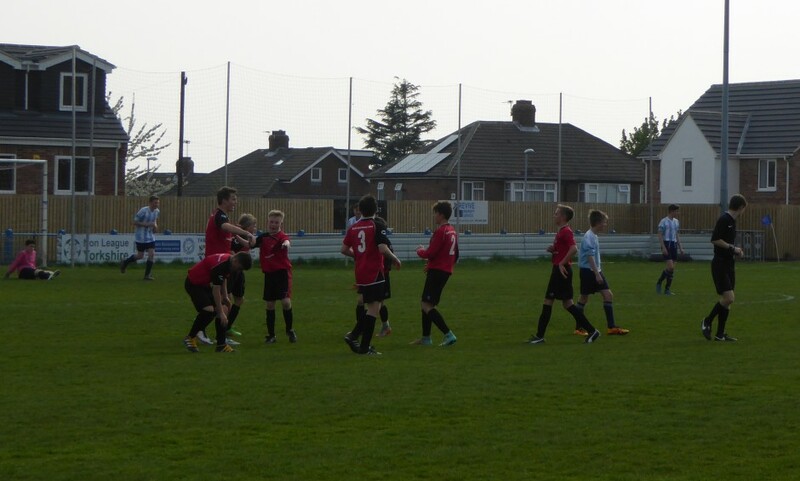 With some great inter play between Elliot Oliver, Harvey Stephenson and Connor Teale York were on the attack themselves with the latter finding Luke Jones in the box, as he caught the ball on the upward bounce to send it high into the trees behind the Spen Valley goal. 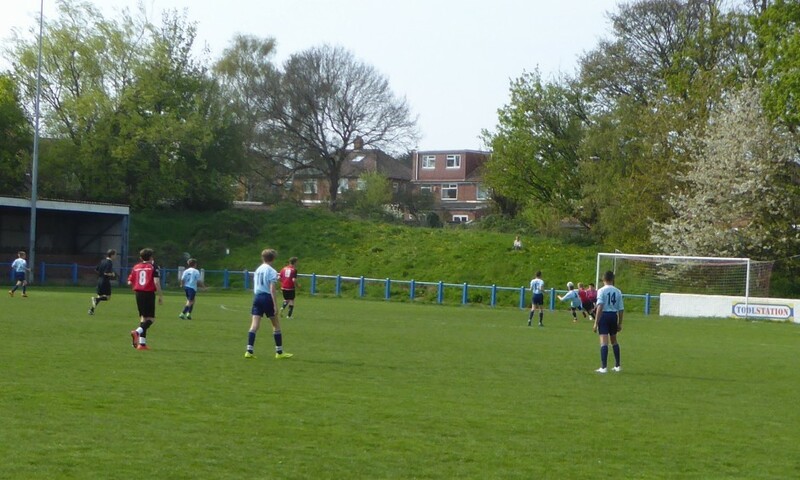 The game was end to end at an electric pace as both teams vied for dominance but it was York, from a goal kick taken by Joseph Hodge, who were to stamp their authority on the game as they played out from the back from Leo Jones into Harvey Stephenson who set Liam White on the first of many ‘Messi’ like runs down the left wing, cutting the ball back across goal into the path of the advancing Luke Jones who turned it into the net between the left upright and the Spen Valley keeper putting York 1-0 up inside the 6th minute. 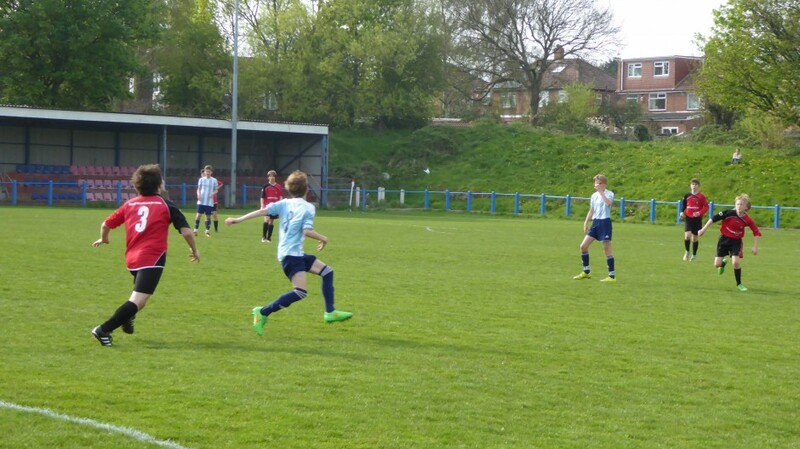 Yorks back four of Sid McCoy, Jacob Caringella, Alfie Evans and Leo Jones were impregnable with solid tackling and precision distribution, snuffing out the Spen Valley attacks. 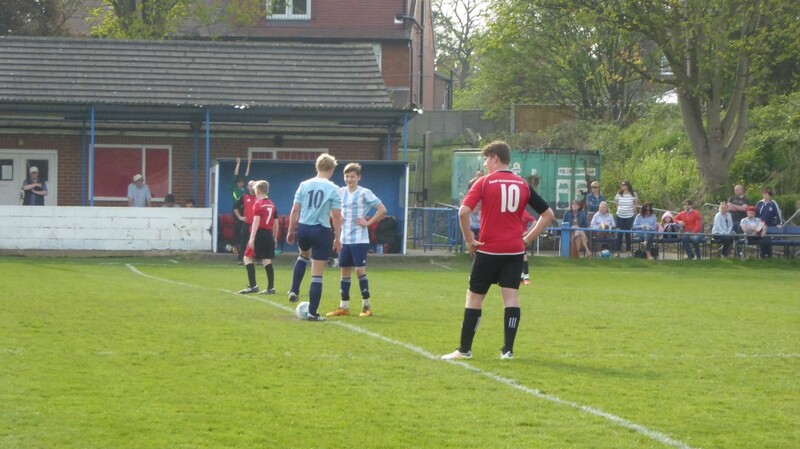 Liam White floated in Yorks first corner of the game which was met at the near post by the rising Alfie Evans to power the header into the top left corner doubling Yorks lead in the 11th minute making it 2-0. 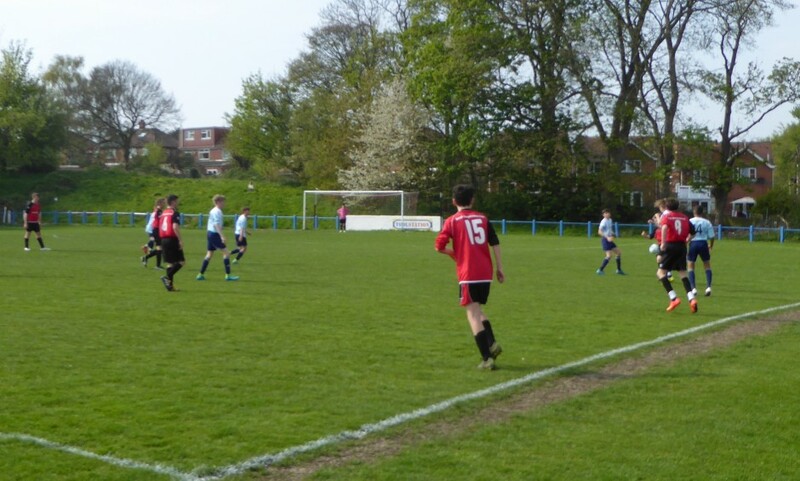 To a man York were in scintillating form as Harvey Stephenson put Luke Jones through on goal; but play was brought bag as the linesman had flagged for off-side. 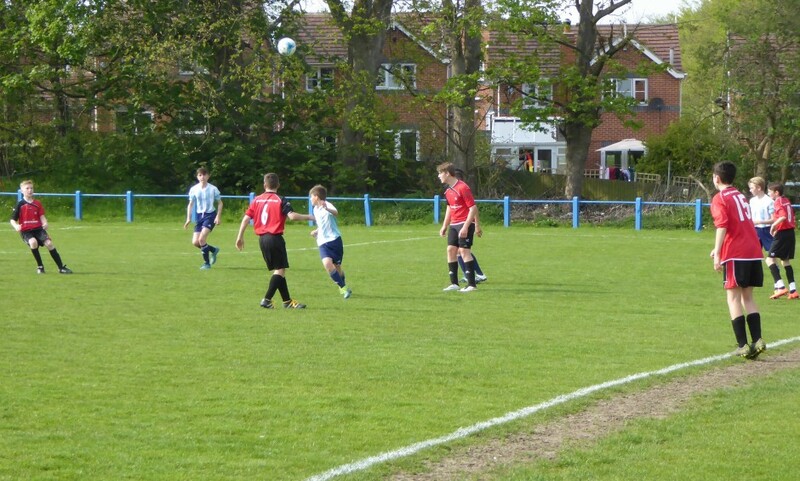 Seconds later with Ben Calam winning the ball in midfield, and Spen playing a high back four, Elliot Oliver hit a sweet ball over the top onto Luke Jones who, notching up the gears, sped past the Valley defence and after a 40-yard drive struck the ball across the goal just out of reach of the diving Spen keeper putting York three to the good inside 14 minutes. 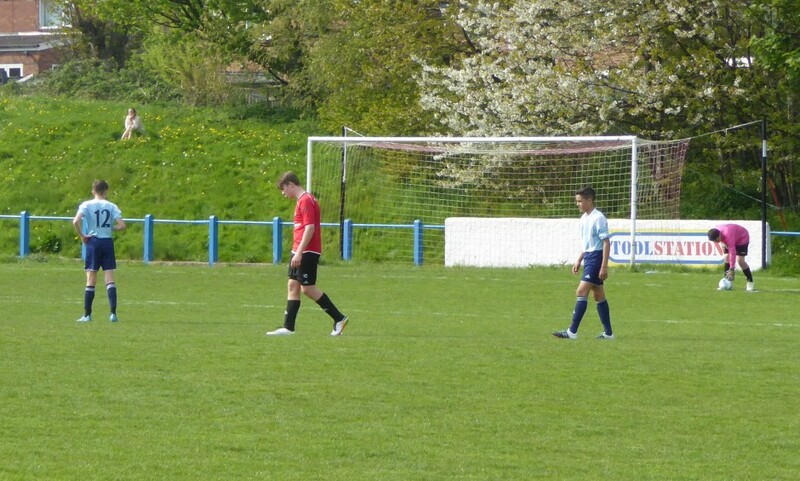 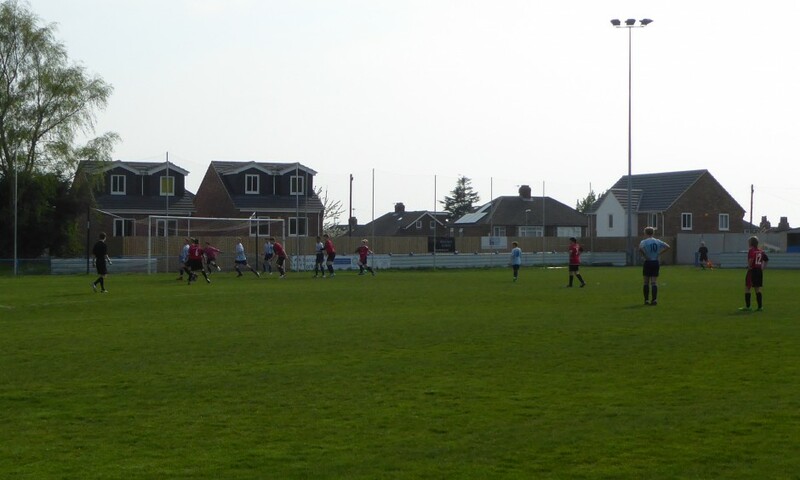 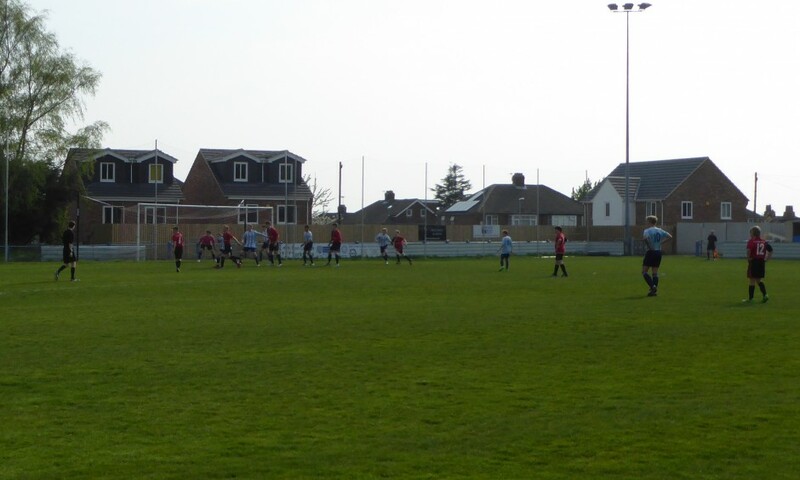 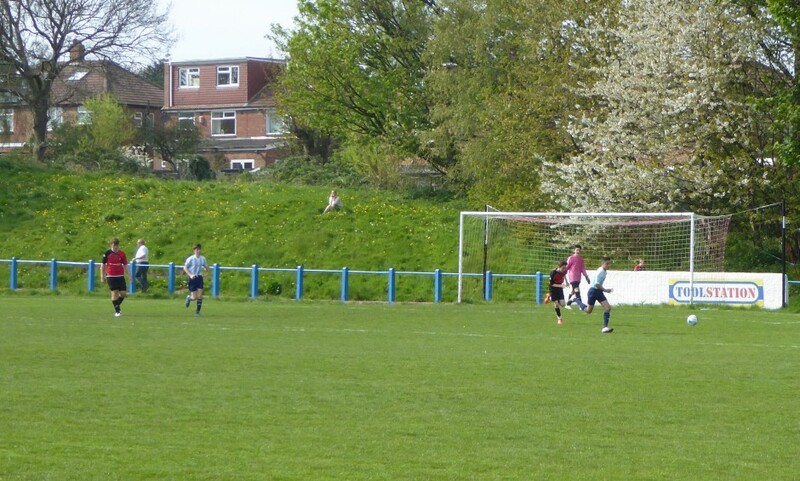 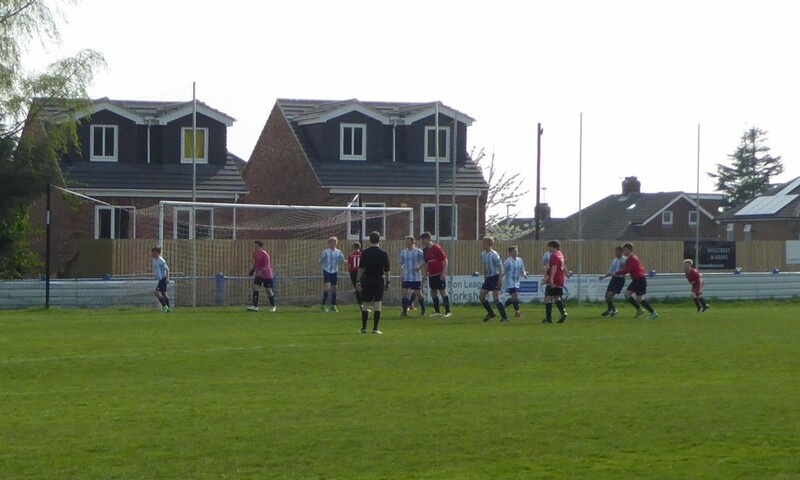 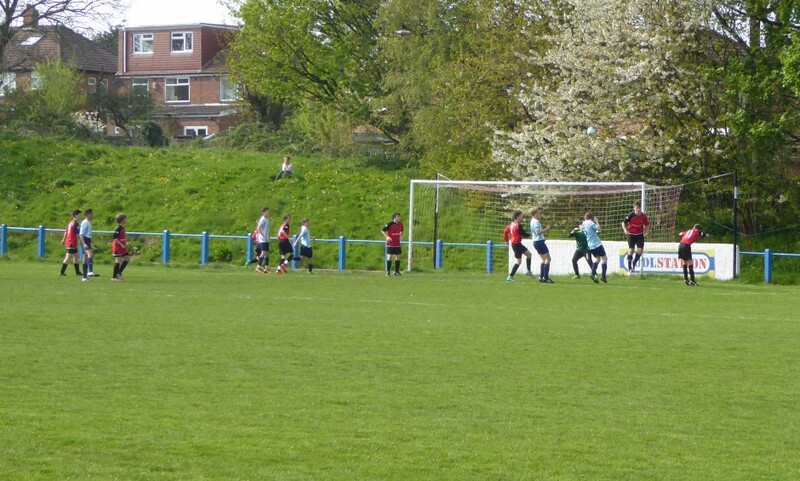 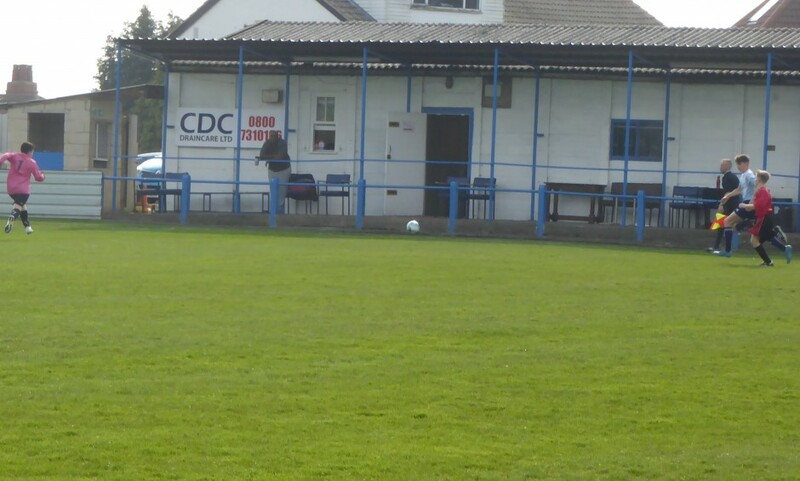 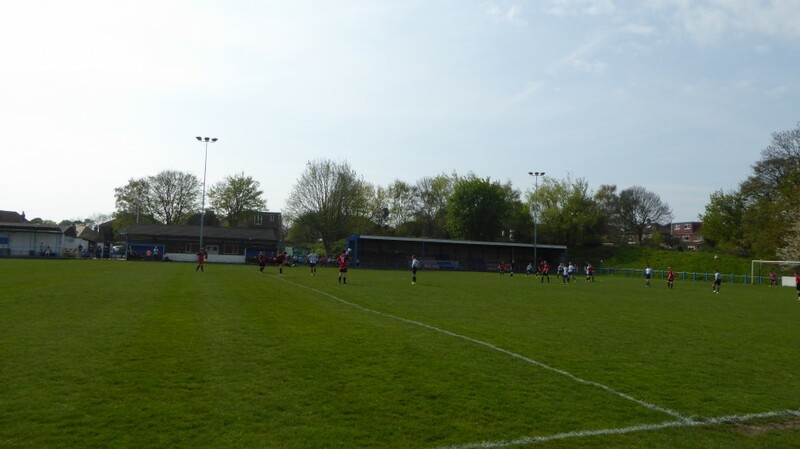 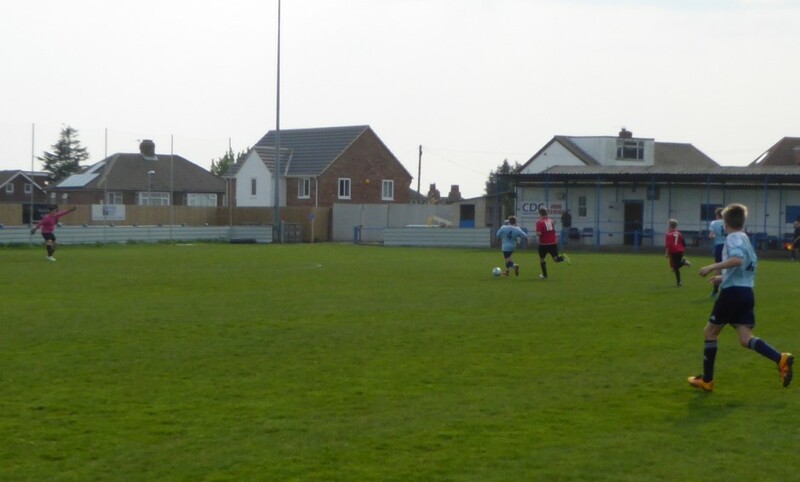 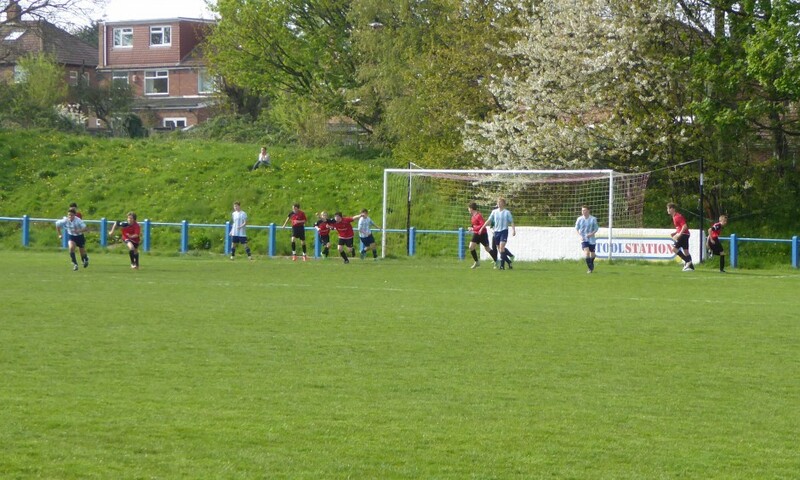 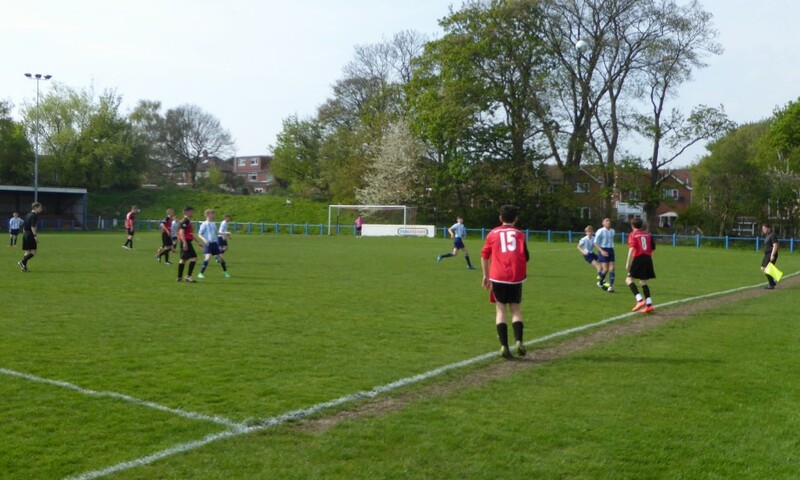 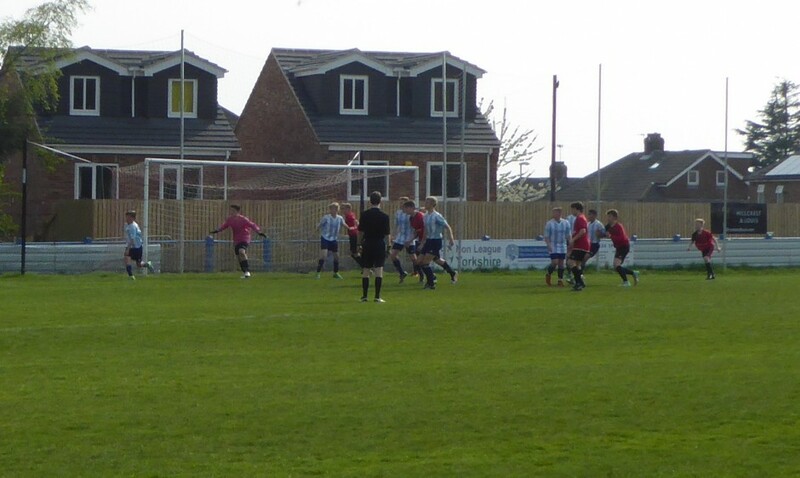 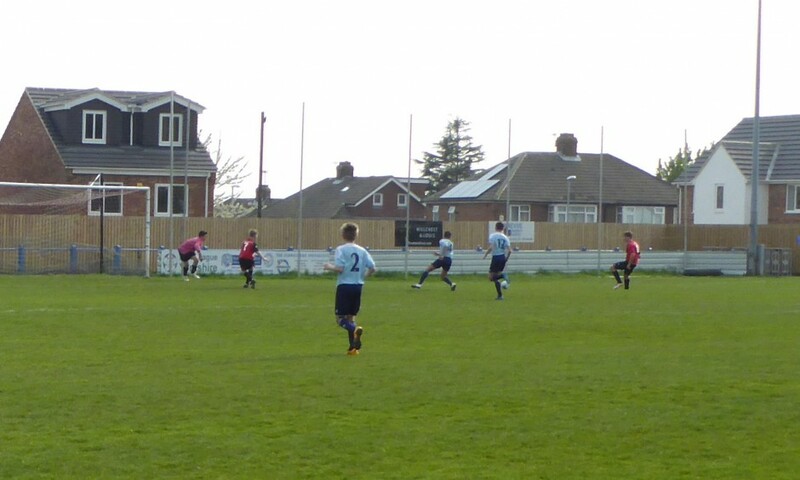 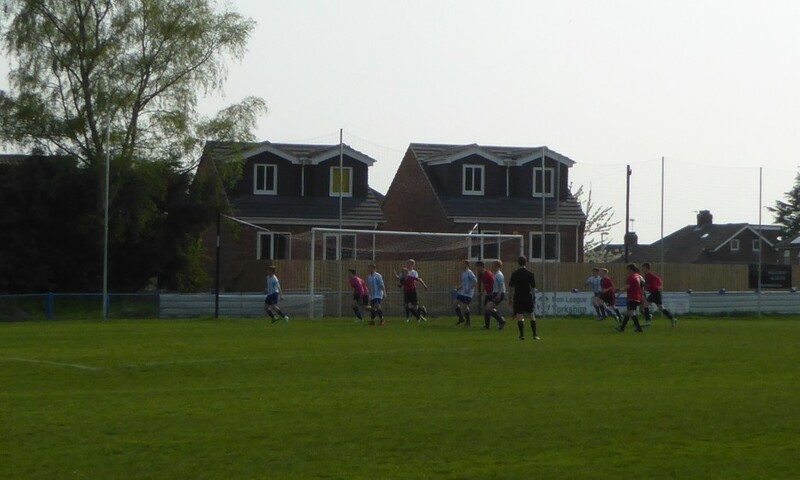 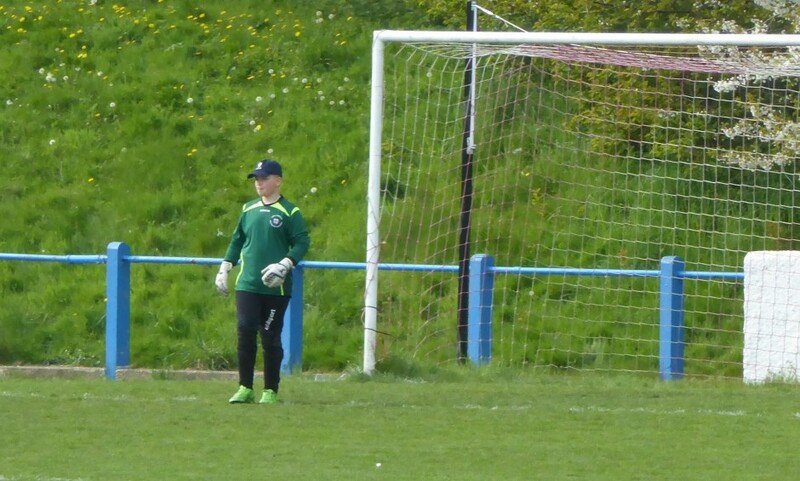 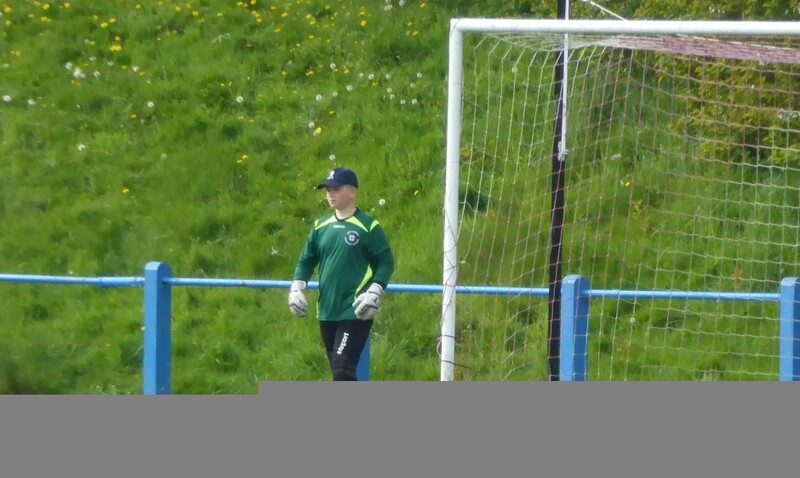 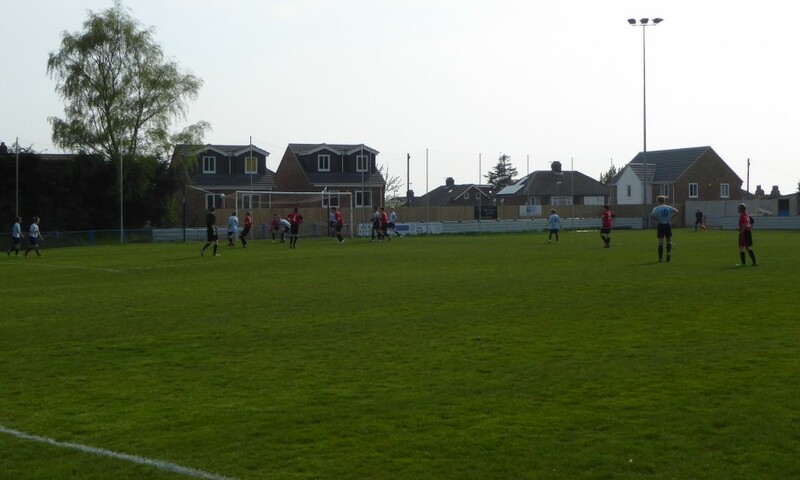 From the resulting kick off Spen Valley attacked and were awarded a free kick 25 yards from goal; but the resulting shot was tipped over the bar by York keeper Joseph Hodge. 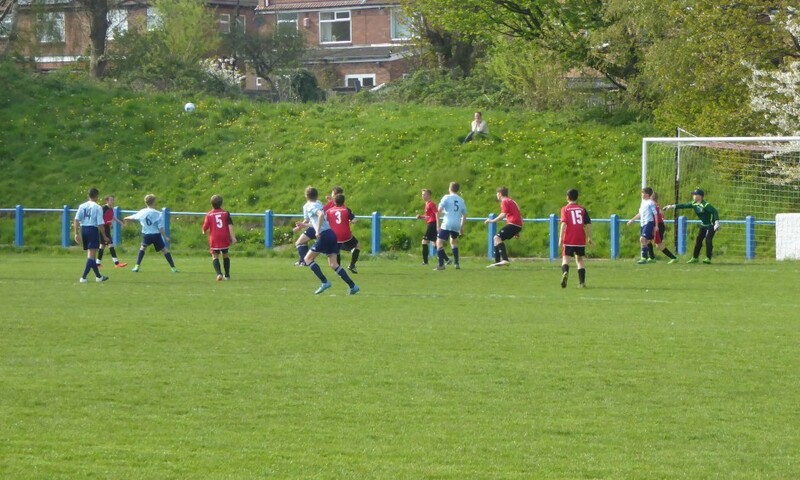 Spen Valleys first corner of the game was well defended by York with a long clearance from Alfie Evans to the half way line; but a mix up in the Spen Valley back four allowed Luke Jones to nick the ball and drive towards goal calmly slotting the ball past the advancing Spen Valley Keeper putting York 4-0 up and claiming his hat-trick inside 17 minutes. 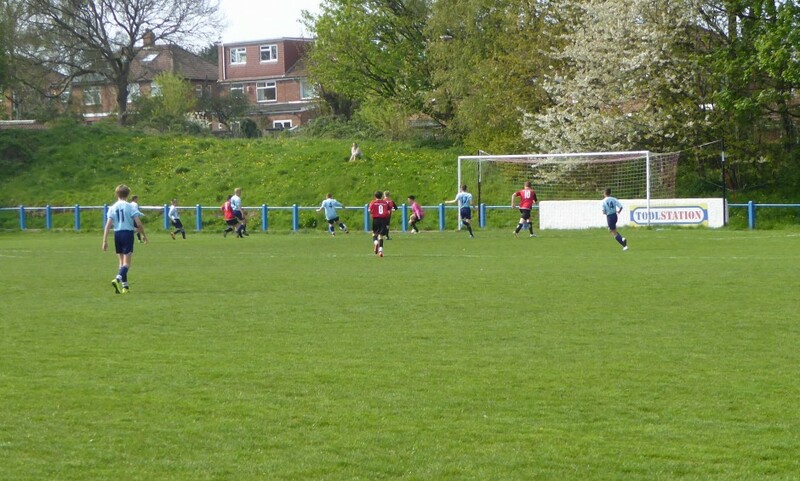 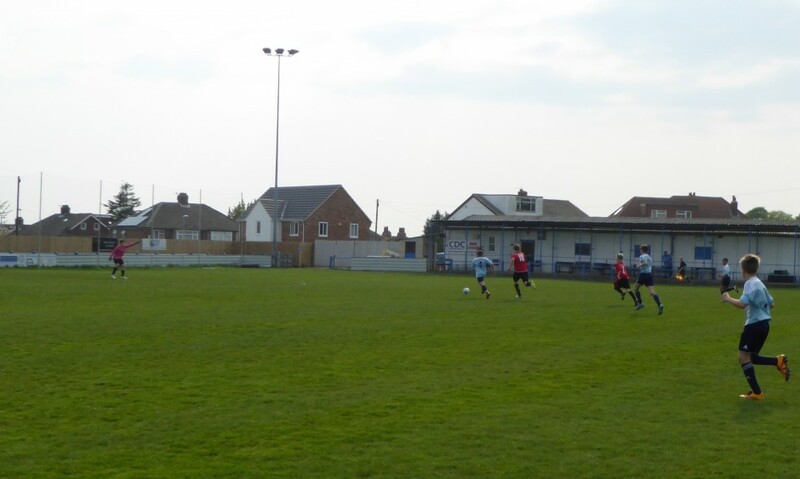 Credit to Spen Valley as they kept on going to create a couple of half chances before they were awarded two free kicks in quick succession, with the Spen striker hitting the first just over the bar and the second striking the horizontal and bouncing back into play. 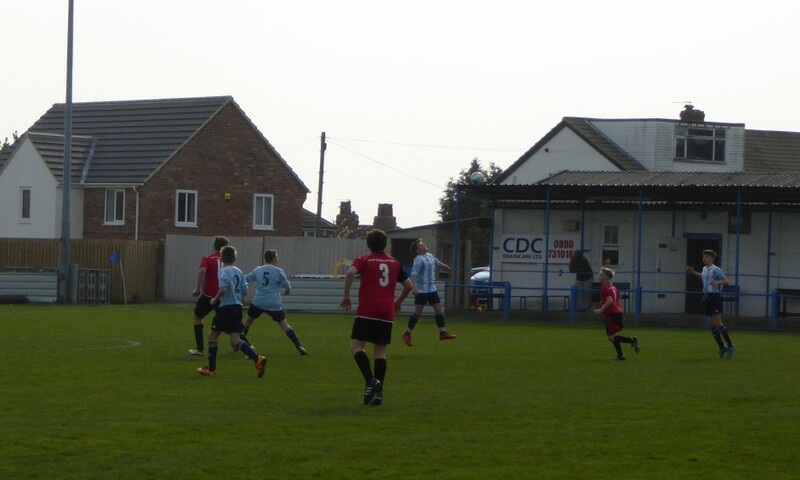 Connor Teale saw his shot fly narrowly wide and over from a Liam White corner before Joseph Hodge denied Spen at the other end in the dying seconds of the first half. 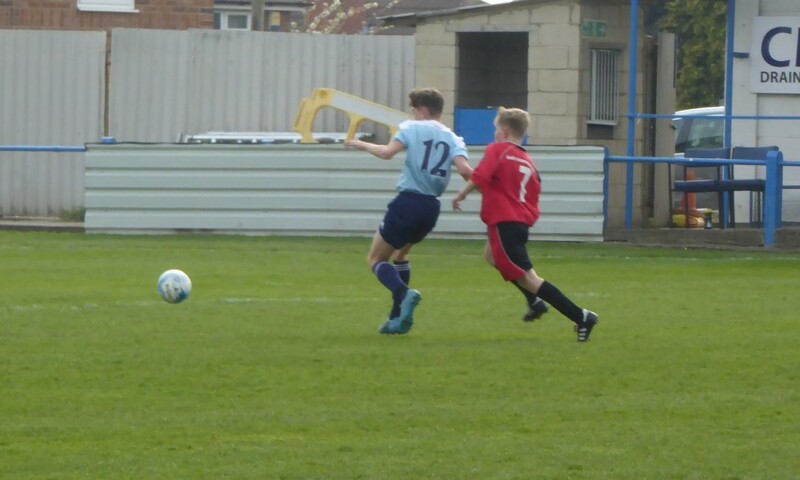 York kicked off the second half with Spen Valley throwing everyone forward to try and get a foothold in the game pressurising the York defence, with Joseph Hodge saving from the Spen Valley striker within minutes of the restart. 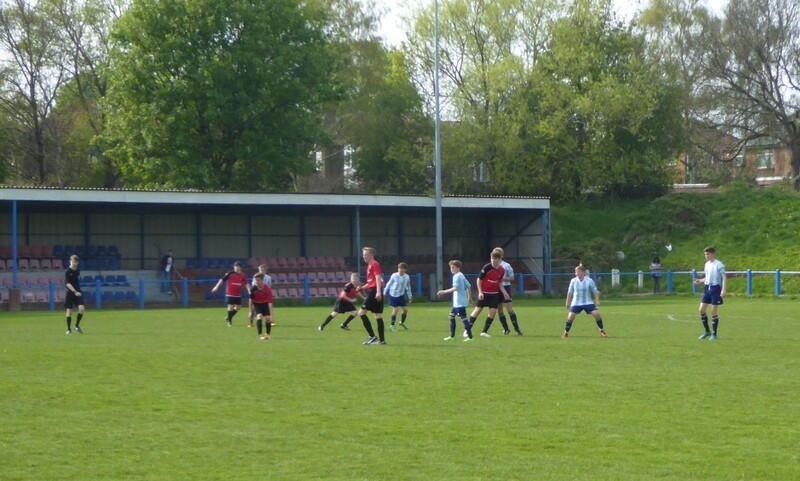 Spen Valley were having their best spell of the game and were pressing York back but found Yorks defence resolute with Olly Hanley now guarding Yorks left flank released Liam White down the left who found Luke Jones on the overlap who put a defence splitting pass into the path of Ben Rhodes who smashed the ball into the net; but the jubilations were cut short as the linesman’s flag had already been raised. 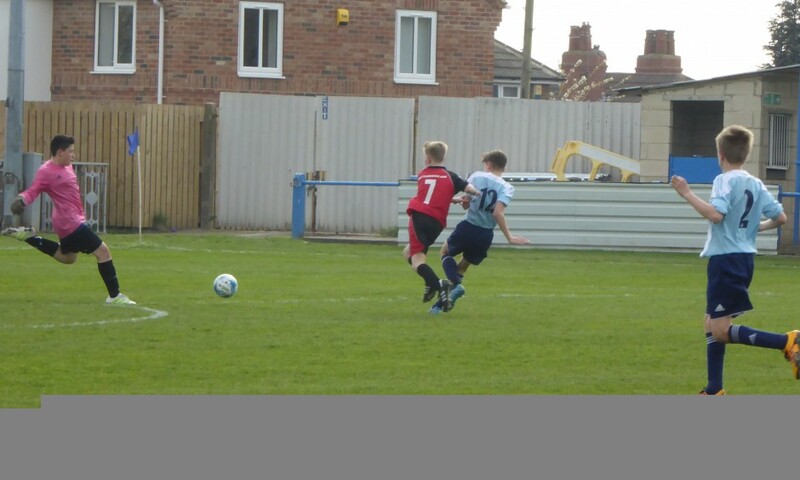 With Spen Valley pressing to get into the game it was inevitable the York found space in midfield and after some great trickery down the right by Leo Potts York were awarded a free kick taken by Alfie Evans, which found Luke Jones on the by-line cutting it back to Ben Rhodes, who made no mistake with his positioning, smashing the ball into the roof of the net from 6 yards putting York 5-0 up half way through the second half. 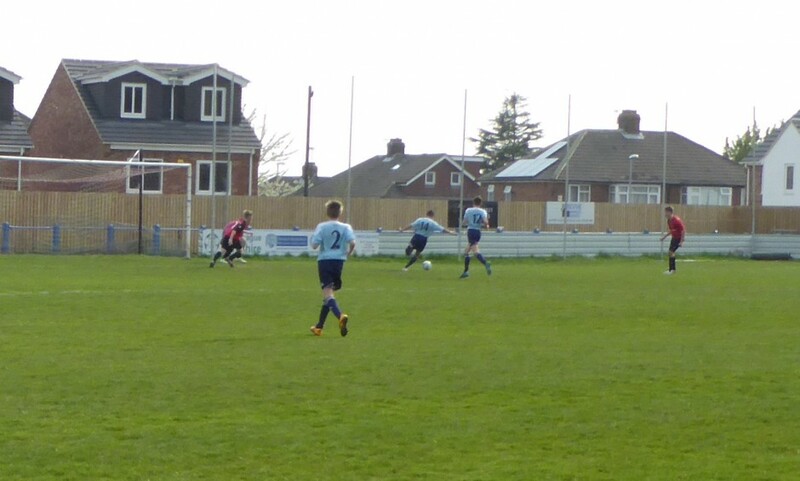 Minutes later Luke Jones latched onto another Alfie Evans free kick to claim his 4th goal of the game and put York in a resounding 6-0 lead with 18 minutes remaining on the clock. 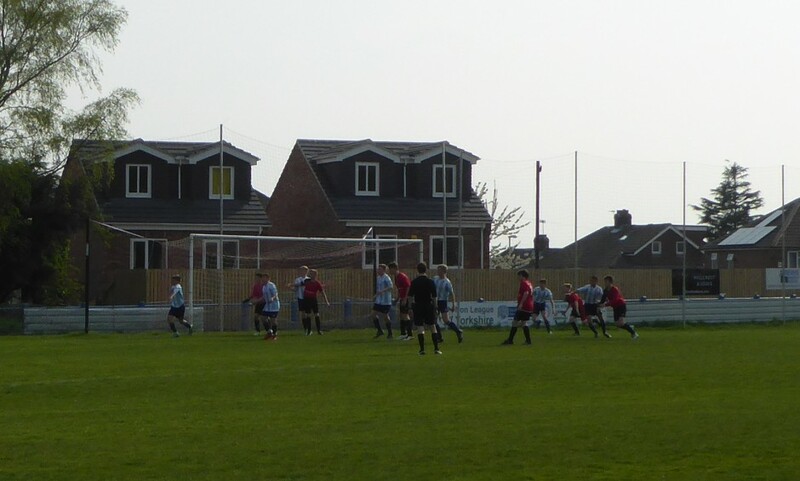 Spen Valley pressed for a consolation; but York were determined not to concede with Nathan Storr now in goal picking up any loose balls that managed to penetrate the York defence. 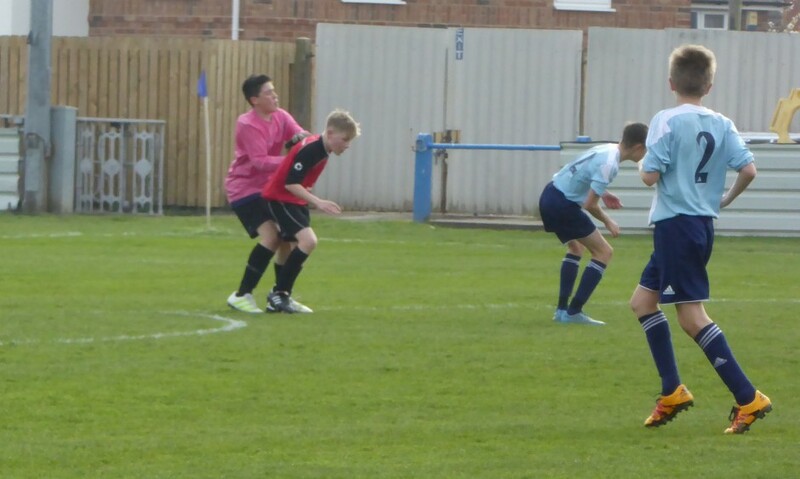 Yorks midfield of Ben Calam, Elliot Oliver, Leo Potts and Connor Teale worked hard helping the defence and then supporting the two York strikers as the games pace was relentless, with all the York players working hard for each other until the final whistle making the full time score a resounding 6-0 to York. 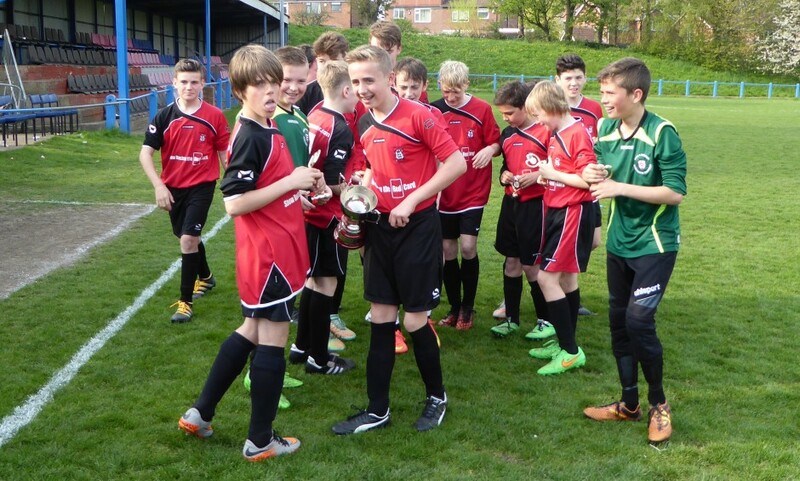 Lifting the West Yorkshire Cup for the first time since 2007 and making it their second piece of silverware in three seasons the boys finished the season style playing some great football. 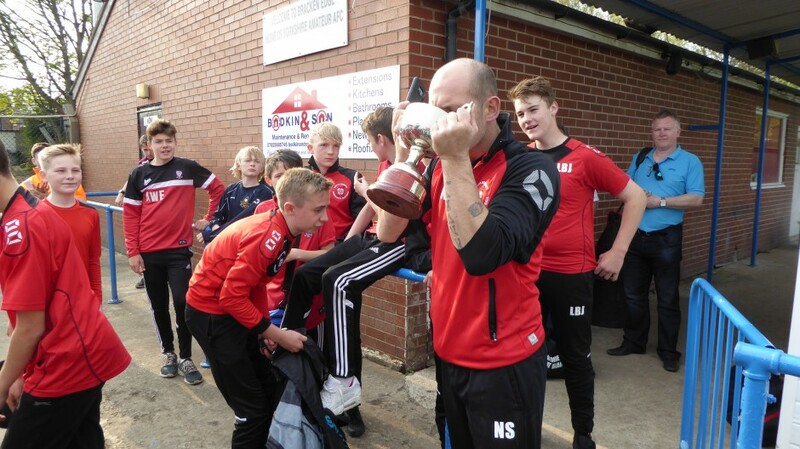 Managers Comments (Alan Oliver / Neil Stephenson): It’s been an honour for myself and Neil to watch how these lads have progressed at the age of 13. 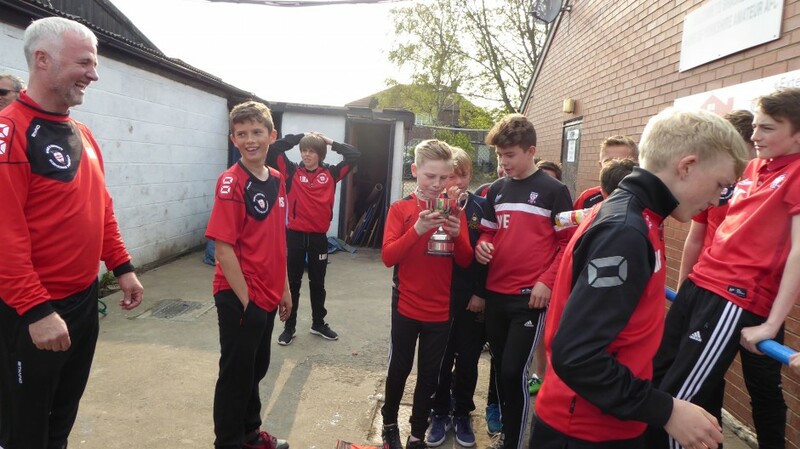 The style of football, which everyone’s enjoyed – not just us, but the other teams’ managers and parents, has been outstanding. 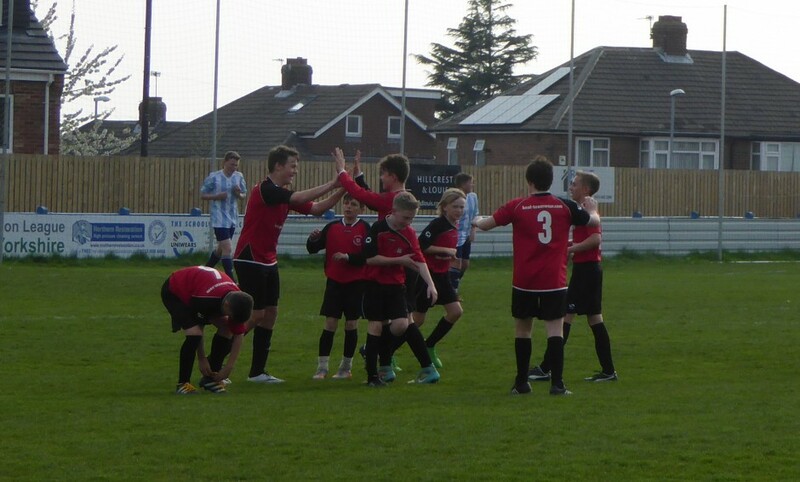 In the last five/ six games we have become stronger and more confident. 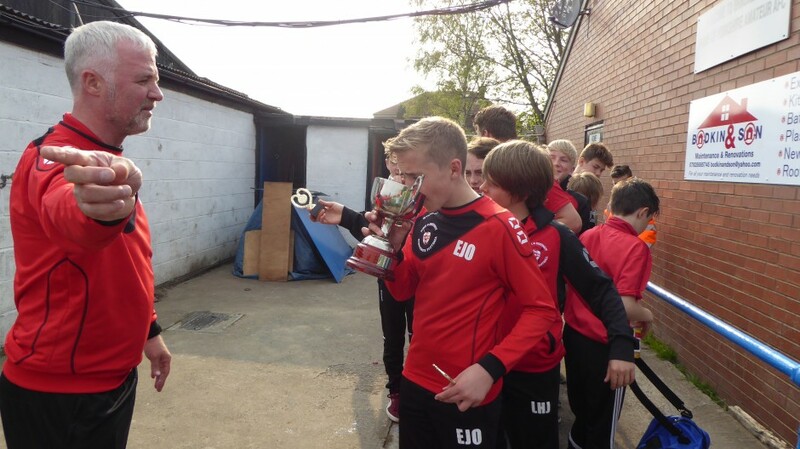 If we had had this from the start there is no doubt we could have had a clean sweep at the league and other trophies. 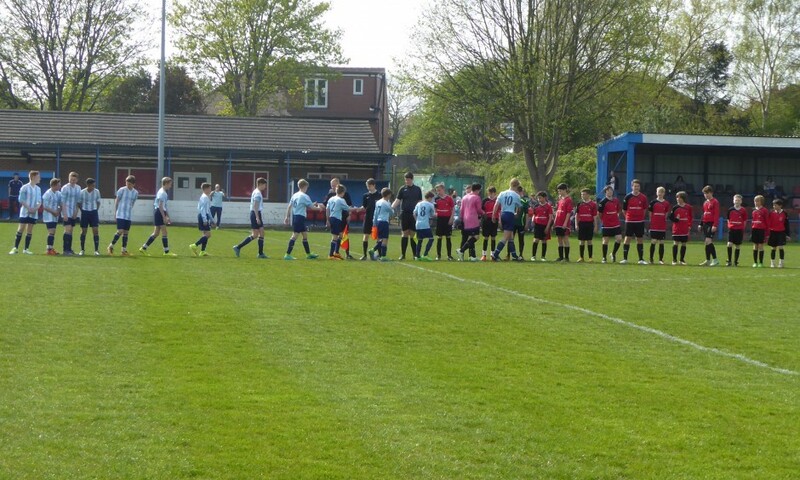 A big Thank You to all the parents for your commitment, time and all your support. 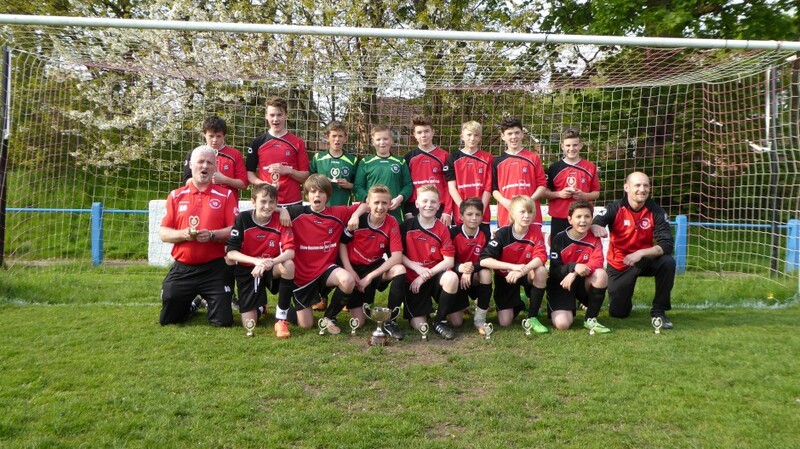 See you all at the presentation night. 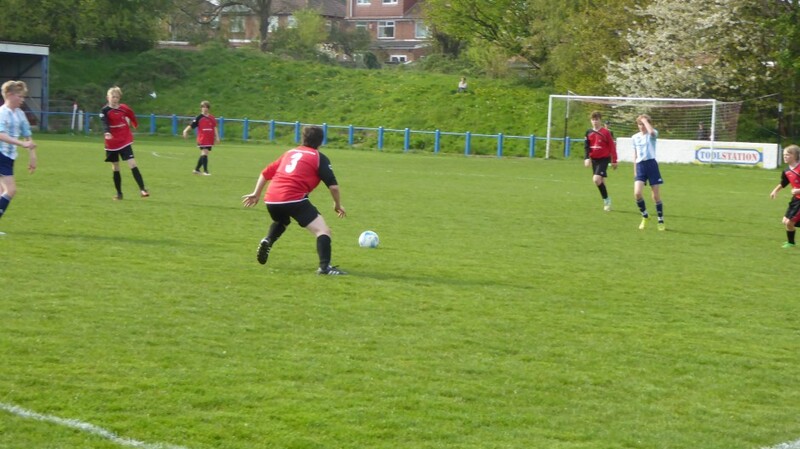 Man of the Match was awarded to: Luke Jones for his quad-trick. 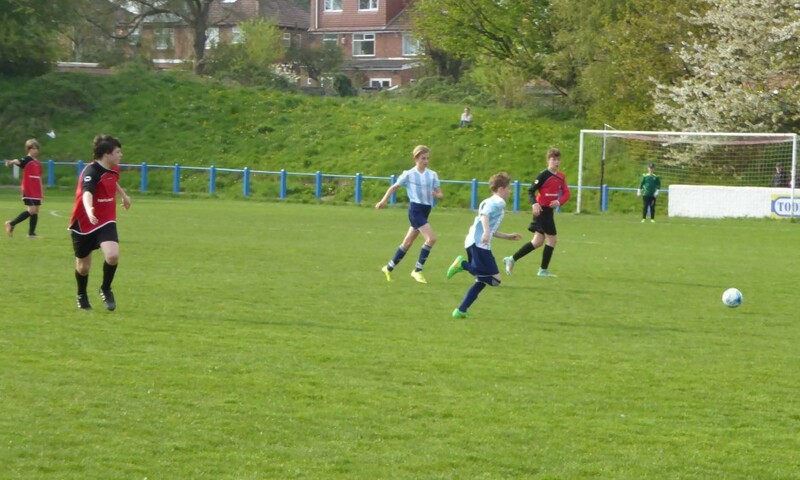 Scorers: Luke Jones 4, Alfie Evans, Ben Rhodes. 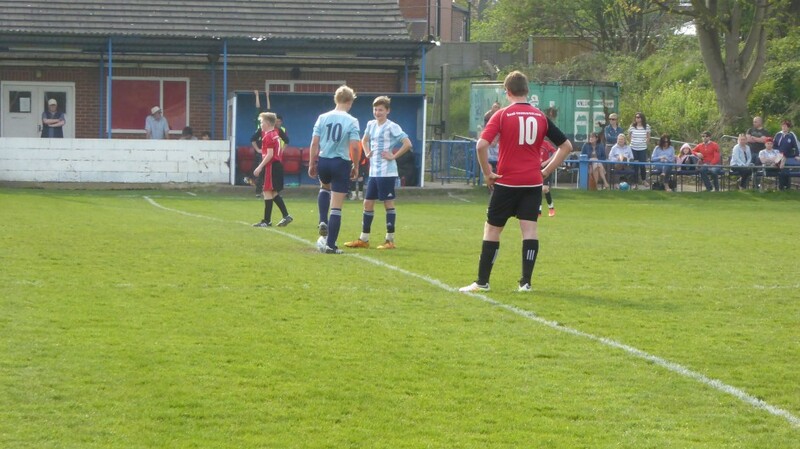 Squad: Hodge, Storr, Rhodes, Leo Jones, Hanley, Evans, White, Stephenson, Oliver (C), Teale, Luke Jones, Calam, Caringella, McCoy, Potts.